Would you believe me if I told you that Evergreen and the City of San Jose had a Mayor Quimby over 125 years before the Simpsons? 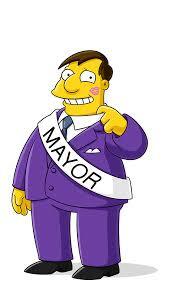 Matt Groening’s portrait of the Mayor couldn’t contrast our factual character more. I’m going to try to provide you with an accurate portrait of our fair-minded Mayor, John Alonzo Quimby. I was lucky enough to find a contemporary family source in a Genealogical History for the Quimby Family from 1915, though newspapers and political publications didn’t say much..
Quimby as a name is fairly popular in England, where its origins are traced back to the 11th century. 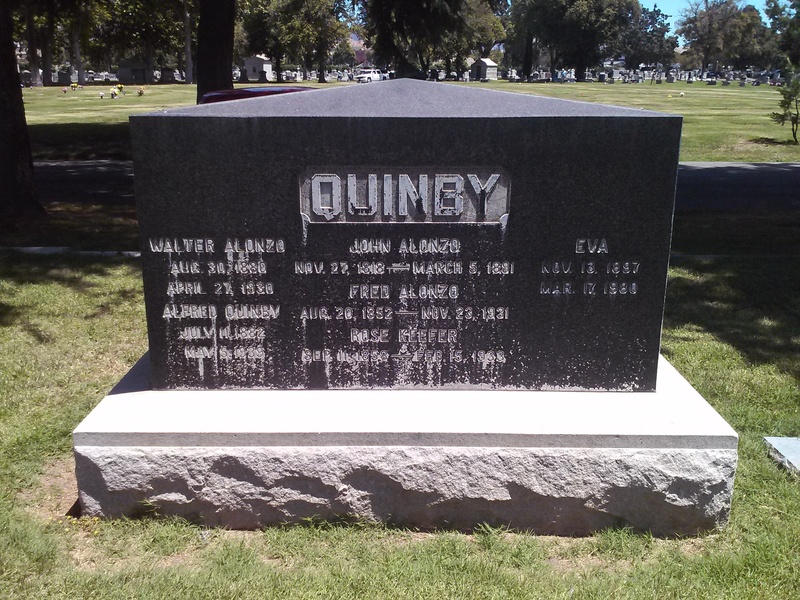 Though probably Germanic in origin and possibly Hebrew in its roots, the Quimby name, its variations (Quinby, Quinbee, Quenby, possibly Quincy, etc.) and its coat of arms are found all over England. 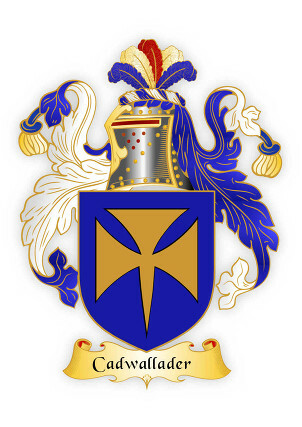 It dates back to an ancient Welsh King, The Quimby Family came from a long line of Colonialists and Quakers. The ancient family would come to Salem, then Massachussetts colony as early as 1640, seeking freedom from the religious persecution that brought so many people to America at the time. They were not rumored in Salem Witch Hunts, but one relative died in heated fights with the Native Americans there. His ancestors would’ve fought to create this country. John A. Quimby would be born in Parsippany, New Jersey in 1818 to affluent, well respected parents. His father would be a politician in New England. Quimby’s father originally ran the lucrative family shoe making business before running for judge and serving the County court system 25-30 years in New Jersey. His brother, Isaac, would be a General for the Union Army during the Civil War. This is his famous brother from Back East to the right who eventually became a US Marshall. My historian’s note here would be that photographs through the 1800’s would only be taken by the rich and famous or very large groups. It was an infant of an art and a science as well as expensive to do. 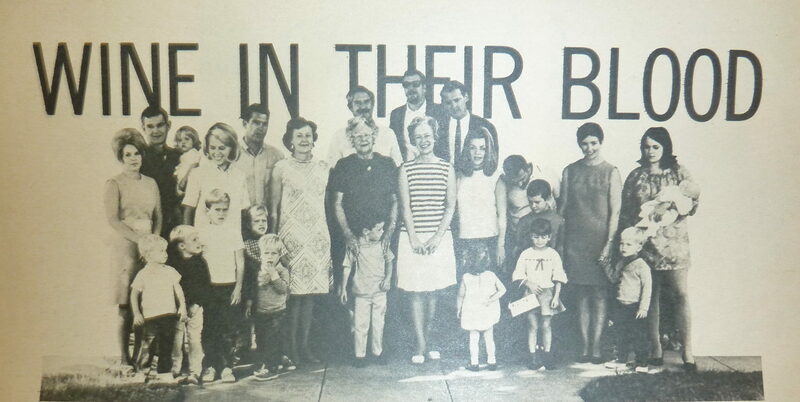 Strangely enough, the politically minded family were Democrats for the most part, with the exception of our Mayor. This may be the reason the Republican pioneer came to California in 1846. Regardless, this photograph from the mid 1800’s should prove how well respected John Alonzo Quimby was. Mayor Quimby first studied law and practiced with a Judge in New Jersey. 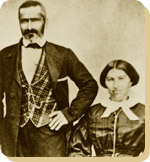 John Alonzo Quimby would come to California as early as 1846 with his father, but definitely arrived in Santa Clara County by 1849 with his first wife, Minerva Moody of New York. It was said before leaving New Jersey that J. A. Quimby was one of Morristown, New Jersey’s best orators and they had a few. John Alonzo Quimby would become entangled with California’s State Affairs early on, even running for US Senator at one point. 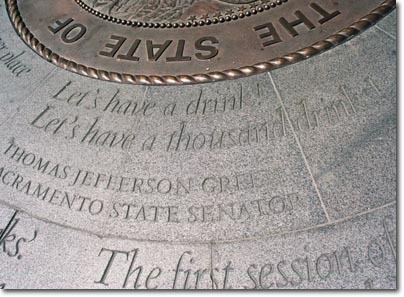 Quimby was present, along with delegate Charles White, at the “Legislature of A Thousand Drinks”, held in San Jose in 1849. This Assembly would create California’s State Constitution and the creation of its Capitol, in San Jose. In 1850, Quimby would see the need and build the first roadway from Santa Cruz to San Jose, laying the groundwork for Highway 17 today. 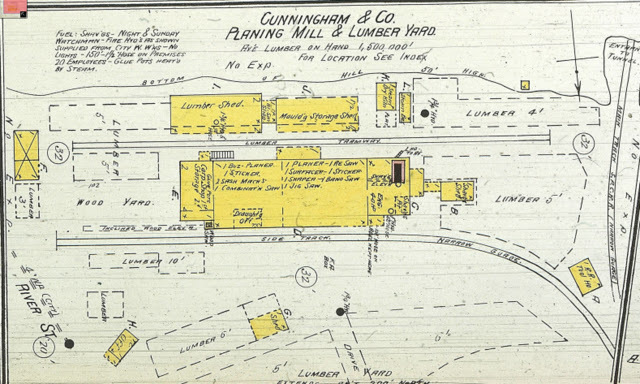 John would engage in the lumber business there as a City developed in the Valley. The Captiol would move to Vallejo in 1851, and to Sacramento. 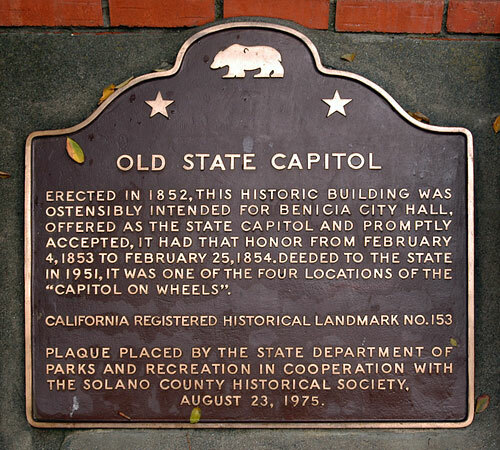 Even still, the site of the Capitol would become a second epicenter for the City of San Jose. 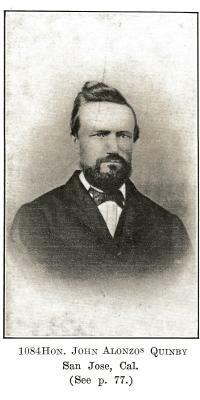 Quimby would be in the California legislature from 1855 to 1858 and be San Jose’s Mayor for two terms from 1863-1869. J. A. Quimby would later be on the Board of County Supervisors for two terms. The well-respected lawmaker would become the creator of the Downtown San Jose we know nowadays. 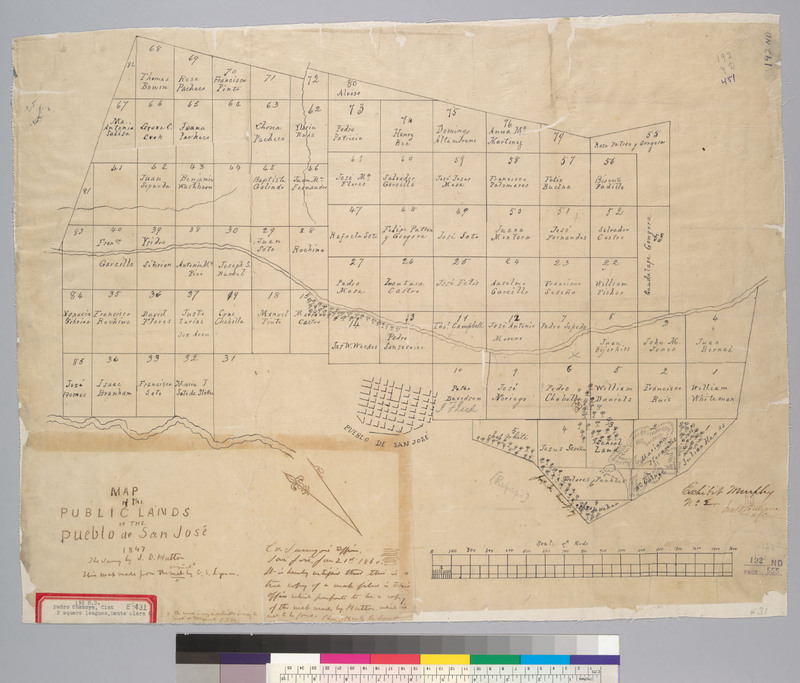 For the sake of contract, the map to the right is San Jose in 1847. It has a single road, the El Camino Real, today’s Alameda turning into Santa Clara beyond this point. It’s layout is logical, like the numbered street we know, and it has well known San Jose founders sprinkled in. The Guadalupe River creates a border for the small city. At this point a lot of today’s Downtown isn’t even a thought. 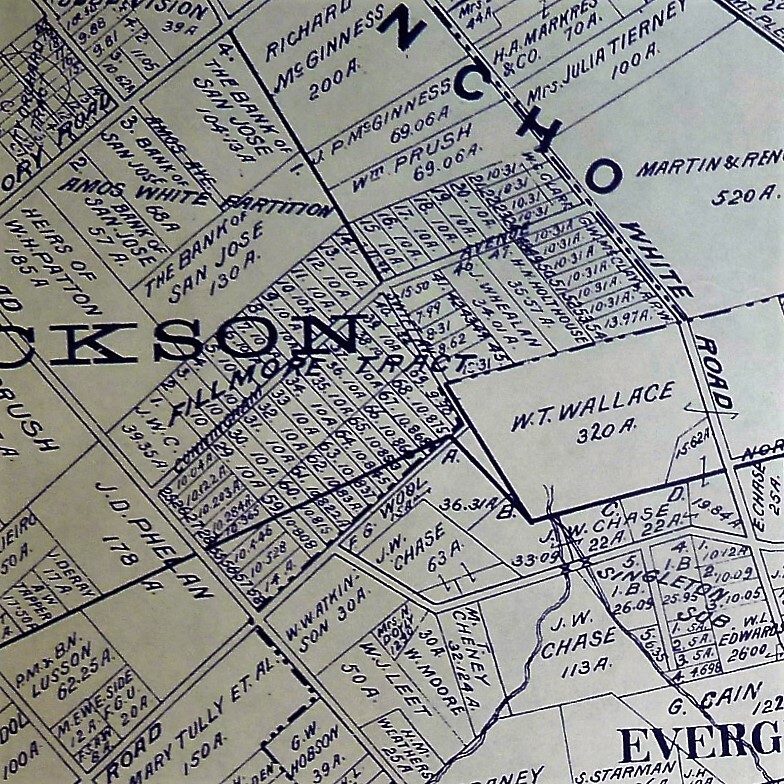 In 1847, an acre of land downtown like these would cost $50.00. Through his initiatives, crucial issues that arose in San Jose at California’s birth were solved through Mayor Quimby’s terms in office. The Market Square was always a meeting place for the Pueblo of San Jose and so it only seemed fitting to hold California’s first meeting in California’s first civic meeting place. In 1797, the Spanish would raise a Town Hall at the site for parades and City meetings. There would be reports of ill maintained hotels and flooding at Market Square, which encouraged the Capitol’s relocation to Vallejo. A dam would need to be built for the Guadalupe River to keep the Capitol dry. 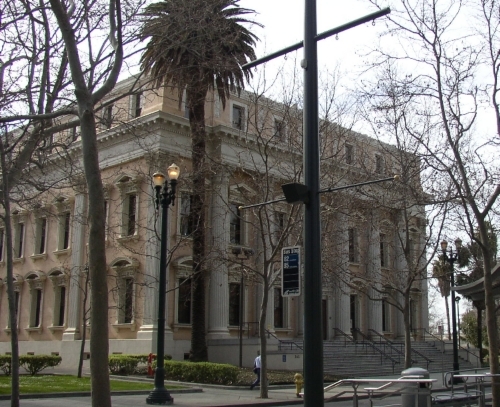 This building still used in 1851 for San Jose’s administration, John A. Quimby would inherit San Jose with its run down buildings and infrastructure. The Fire Department had no firehouse and broken down engines. City Hall’s walls were crumbing. After all, it was over 65 years old by the time he got to City Hall. Furthermore, in 1863, the disputes created by settlement were still creating tensions. Rancho Yerba Buena wasn’t up for dispute anymore. John Alonzo Quimby himself legally purchased a large ranch 3 miles from Downtown Evergreen, next door to the Pellier Family, near where the Middle School stands today but up the road a little ways. Victoria Chaboya’s property is more likely where the Quimby Oak Middle School stands today. Oak trees are a main feature of Evergreen, not pine trees. Quimby Oak rather rathers to the bed of Oak trees gathering along the Quimby Creek, running though Quimby and Pellier’s properties. Quimby Road would always run past his Evergreen hills property. J. 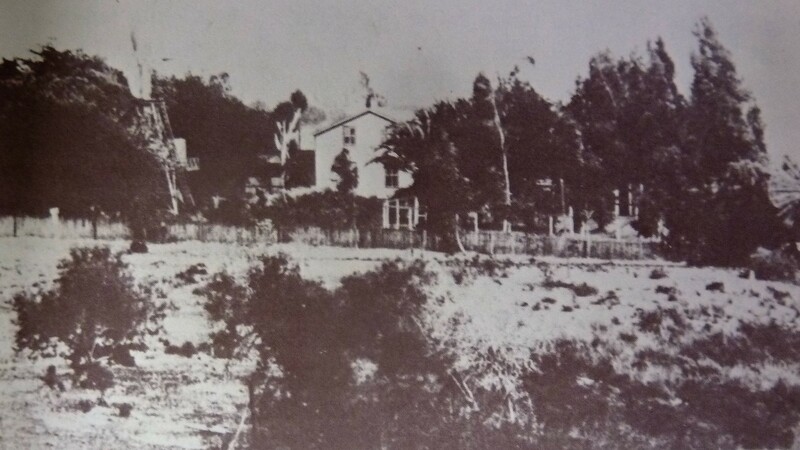 A. Quimby was able to purchase a Creekside property near where the Chaboyas themselves called home. 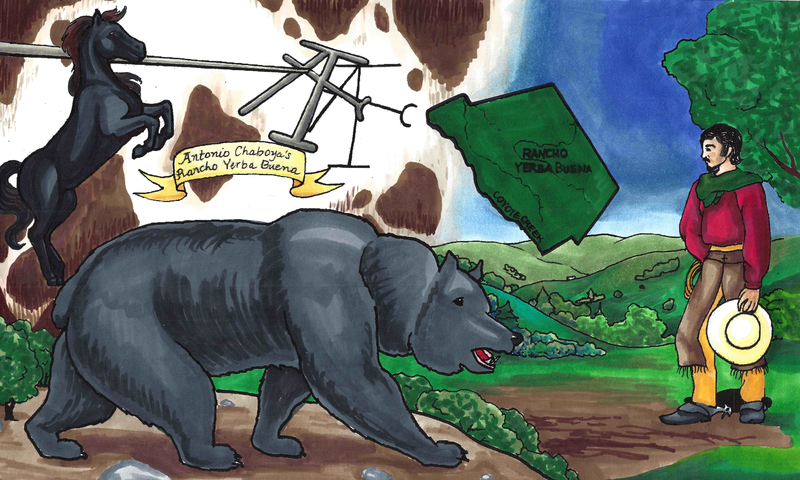 The California Government didn’t uphold all of the Mexican land grants like the Chaboyas. 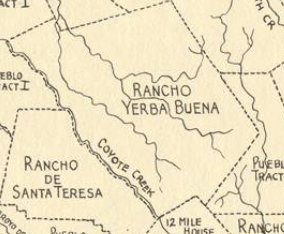 In fact, Rancho Yerba Buena was the exception to the rule in Santa Clara County. Many were stripped of their holdings and left tiny portions of their former farms, including Antonio Chaboya’s brothers, by US Surveyors. The railroad into San Jose was completed in 1863, when Quimby first became Mayor. The land grab created room for new immigrants and U.S. citizens in early San Jose, which there were plenty arriving and on their way. 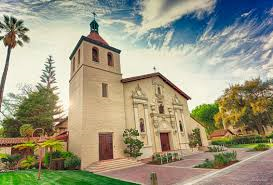 The first secular development in California, established in 1777, had been growing from the epicenter of Mission de Santa Clara de Asis, today’s Santa Clara University. These homes, though close, were large and had adequate yards. If these people were also farmers, though, their farms or vacation homes would be elsewhere, in modern day suburban communities surrounding San Jose’s Downtown. 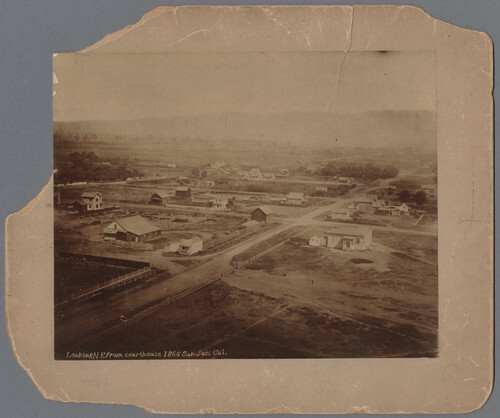 To the right is Downtown San Jose looking towards the Mission in 1866, when J. A. Quimby was Mayor. Mission Santa Clara feels like the outskirts of Downtown today. You’re totally right. What we feel like is Downtown today, First and Santa Clara Streets, would be John Alonzo Quimby’s impact on San Jose. The one time Capitol, brought by delegates White and Reed and witnessed by Quimby no doubt, would be today’s Cesar Chavez Square on Market Street. This would become a second burst of growth in San Jose’s adolescence. Downtown is something different because of this second epicenter. The bustling City would then center around Market and Santa Clara Streets, adding to the numbered streets and narrowing their lots. Then, during his Mayoral office, Quimby would bring together both parties to handle the disputes, fill San Jose’s Treasury by selling small “pueblo” lots Downtown and create services for the growing population. Contemporaries would explain that the Cities of San Jose and Santa Clara were already touching and growing denser down the Alameda. Plots were being sold for $50.00 an acre or city block around the Alameda and St. James Park. Once Quimby took office, an acre cost $200.00. US Surveyors would bring into question some of the $50.00 acres, allowing farms downtown to be broken up into subdivisions. $50.00 plots were still being developed, however. 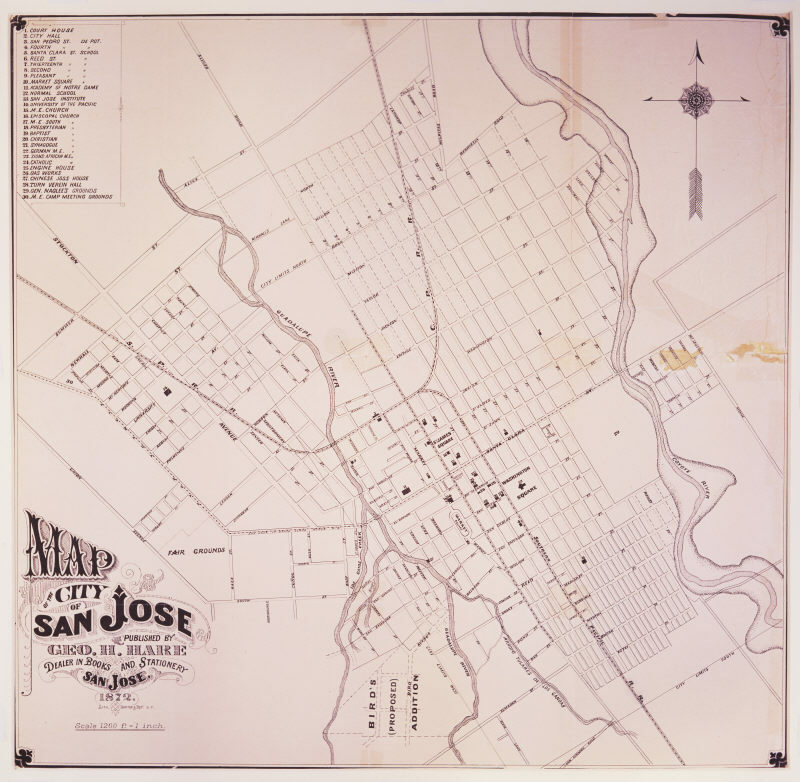 The City of San Jose would be considered as far east as Coyote Creek, as far south as Bird Avenue, as far west as Meridian Avenue and as far north as Hedding Street. 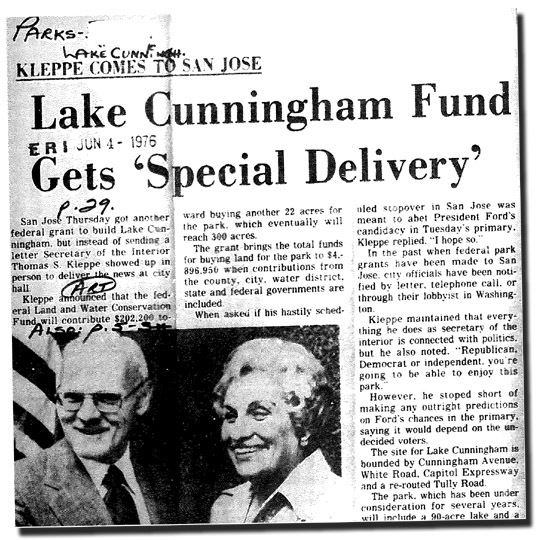 Quimby would improve the roadway system and rejuvenate San Jose’s infrastructure with the raising of funds, replacing rundown equipment and buildings. Many of San Jose’s oldest standing buildings come from the Quimby era. With a focus shifted away from the Mission and towards developing outward from the City Plaza, Cesar Chavez Park, Downtown San Jose’s small lots still exist today. The numbered streets are a result of many of Quimby’s decisions. He killed two very big birds with one very awesome stone that still can be felt today. To the left is a map of San Jose shortly after he left City Hall. This is a map of San Jose while John Alonzo Quimby was on the Board of County Supervisors. The rapid growth was prolific. In 4 years, San Jose would need to be broken up into huge portions. This is our modern downtown. The First Ward is the old downtown. Also notice that our Norths between the previous 2 maps are different. That was just to make this one look pretty. 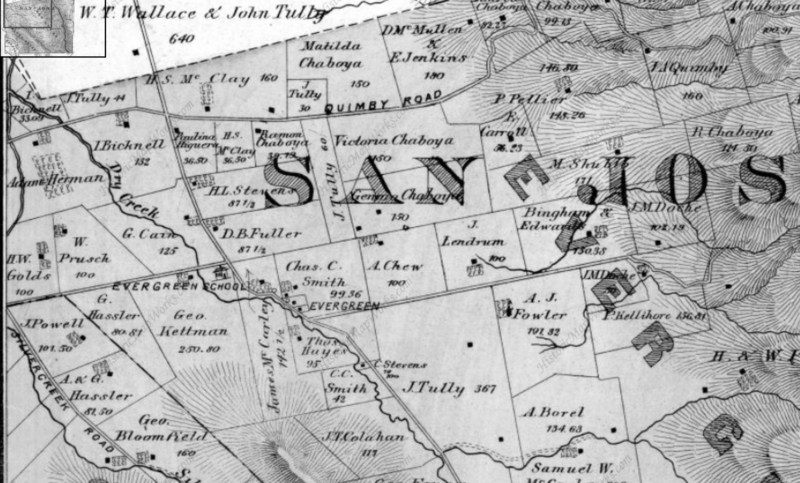 It’s ok. Our 1847 Map had Guadalupe through then San Jose’s west on the bottom of the map. Only a couple of those original rectangle bought for $50.00 still existed. Most were these tiny boxes in 1876. The colored portiosn are additions onto San Jose made during Quimby’s term. 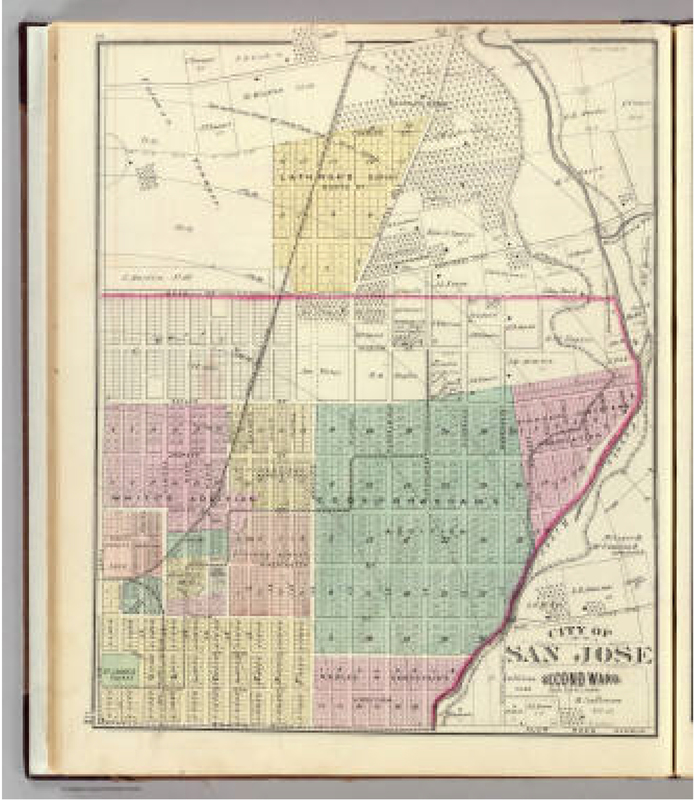 In 1860, San Jose would have 1000 residents. By 1868, that had been multiplied to 7000 residents. Having great leadership at the helm of a storm like that allows the transition to go smoothly. John A. Quimby found a way to make room, make jobs, and revive an aging city. He was also there at igniting of the Santa Clara County’s Fruit Industry. Quimby would create the foundation for the large city with a dense downtown we enjoy today. 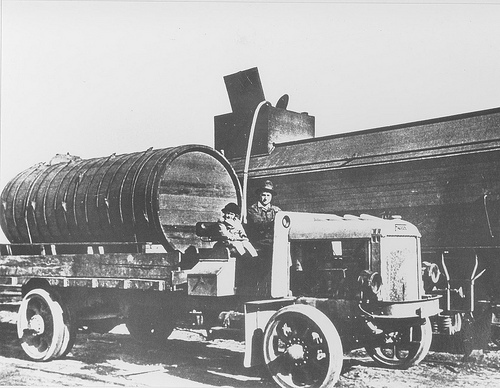 The San Jose Water Company was incorporated in 1866. 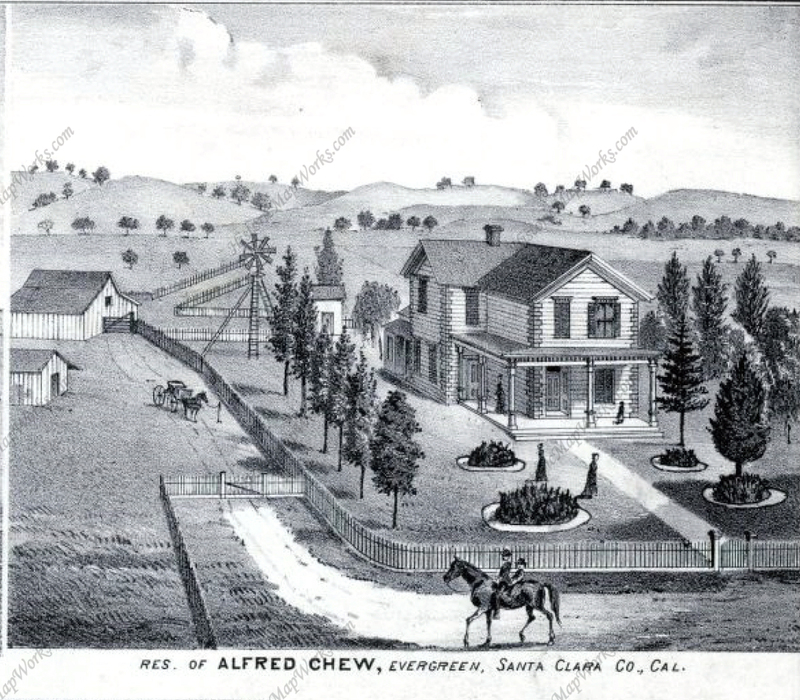 Gas services was introduced to San Jose in 1861, but the need for expanding those pipe systems were crucial. The Normal School, today’s San Jose State University, would become State run in 1862. The courthouse was built in 1867, now the St. James Post Office though its down was burned down some time ago. The first public transit systems were in place in 1868, running down First Street to the domed courthouse. The lightrail stops there today. Does that make is a nearly 150 year old tradition to ride the modern trolley through Downtown? The Canning Industry would be underway in San Jose in 1871. Though Quimby gets the bulk of credit for the way he settled Downtown land disputes, he’s often overlooked during this crucial time in San Jose’s development. Why he’s overlooked in unknown, because he seems to be well-respected by his contemporaries and loved ones. John and Minerva would have four kids, while maintaining his political life. Minerva Moody would pass away in 1866, while he was Mayor, and John Alonzo Quimby would remarry the following year. Irene Kamp, the new Mrs. Quimby, and John would have another two children who were also raised in Evergreen. After serving the County for a number of years, John Quimby would become sick for a number of years starting in 1886. Following the illness, Quimby retired from public life to his Evergreen farm. It was said that he too raised vineyards in the Evergreen hills and Quimby Creek runs along the back side of Millbrook Elementary School today. 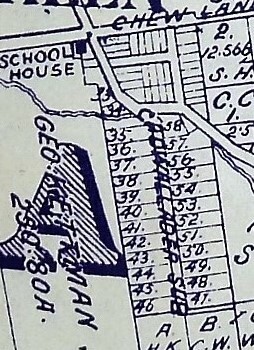 Quimby Road would be one of the third or fourth roads built in Evergreen, after San Felipe Road and Evergreen Road. In fact, Quimby once ran Tully Road’s modern course into town after the turn at Eastridge Mall. The Mall’s creation there was formed by Quimby’s 150 year old route. 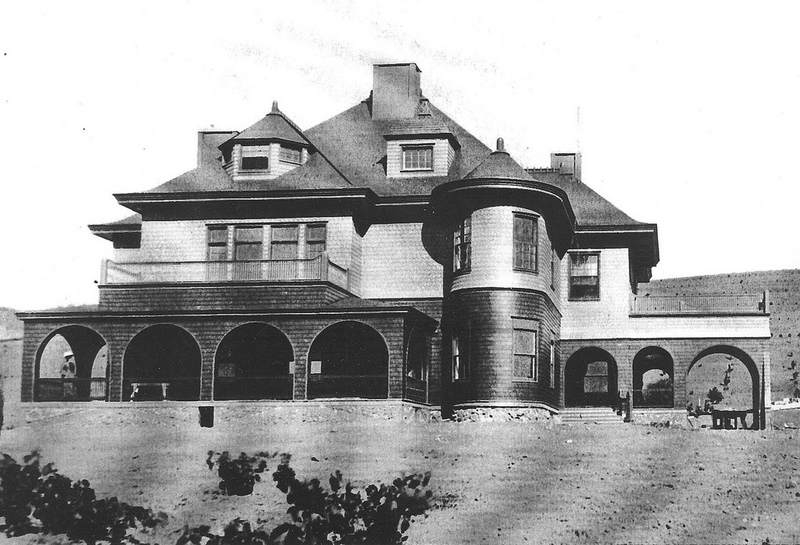 The large Evergreen estate passed to Irene and his family when John Alonzo Quimby passed in 1891. 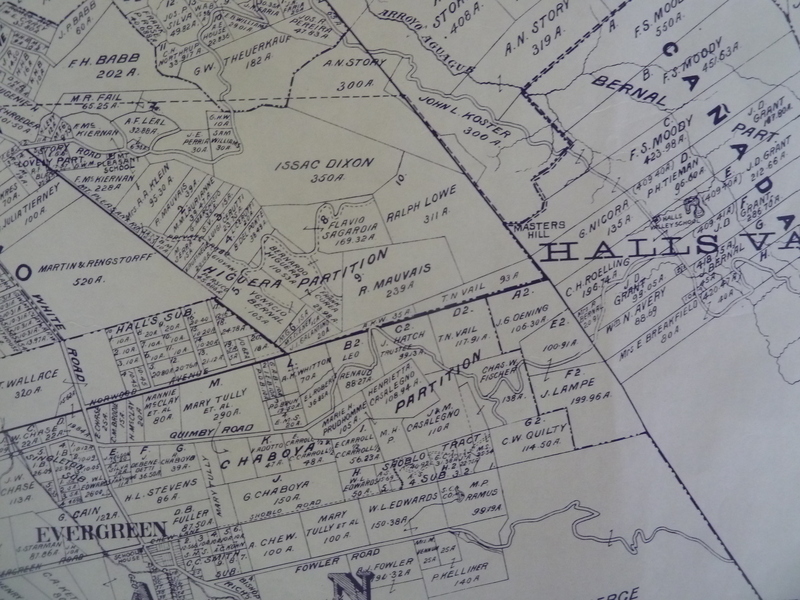 This 1903 map shows a portion of the Quimby Ranch, 55 acres, still held by his daughter, Mrs. R. M. Wright. 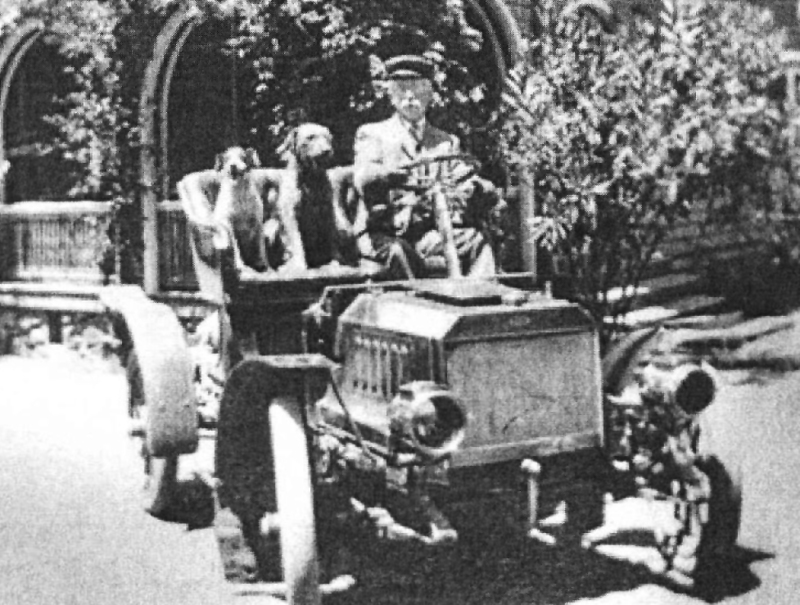 One of his sons, Fred Alonzo Quimby, carried on the tradition of civic service into the 20th century, though sadly not in Santa Clara County. Oh, and the awesome Harriet Quimby, first woman to have a pilot’s license, wouldn’t be from Evergreen or San Jose. Instead, she probably heard about the road’s name on a flight to San Jose then lie ruthlessly about it, creating fairytales and misinformation about her early life. Harriet was born in Michigan. She was quite a character, but none of John Alonzo’s sons would marry a woman having a daughter Harriet. She also freely lied about her age. Don’t worry. The Quimby’s are a huge family. She probably wasn’t lying about the name, but could so easily weave misinformation into interviews because of the name’s popularity around the United States. I think the obituaries for John A. Quimby about the most eloquent summarizations and indications of how he was received by his contemporaries, Democrat or Republican. His was admired for both his political achievements and undertakings, as well as for his kindness and hospitality. The Artwork which features J. A. Quimby also features possible inspiration Charles White. After writing this, I’m wondering if we’ve given John Alonzo enough credit either. His leadership created the City we enjoy today, which modern people from Evergreen continue to develop it and serve the same offices. The Simpson’s bumbling Mayor couldn’t be further away from our Mayor Quimby. After doing this article, here’s the updated White and Quimby Piece. In looking for Mayor John A. Quimby of Evergreen and San Jose, this interesting tid bit fell out of a family tree. If I can find the author, I would love to get you more information on this stellar, little-known character. In hopes that this was the origin of the McClay family along Norwood Avenue, I read on. Though I couldn’t make that connection through the family tree, how this one time Florida Sherriff came to California during tensions that eventually led up to the American Civil War was fascinating. This author, whomever it is, is detailed and follows land purchases into Evergreen. Daniel McCray’s path would cross with Evergreen’s Farnsworth Family, Metzger family, and intimately with the Cottle Family. 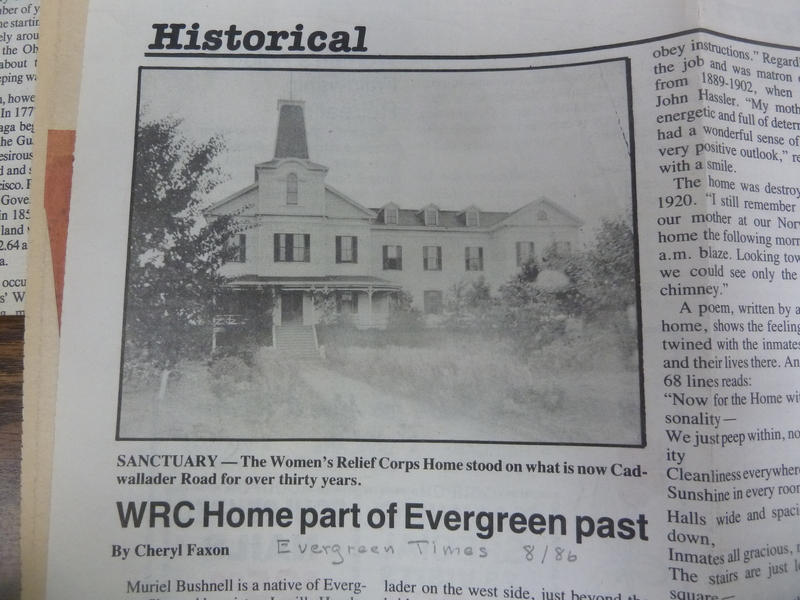 It’s a wonderful piece of forgotten Evergreen history. *SPECIAL STUDENT NOTE: There is language that is quoted directly from the time that may be alarming. If you are upset, please discuss this with an adult. DANIEL McCRAY, born 1811 in Washington County, Tennessee, near Jonesboro, spent his first sixteen years in that area. His grandfather Daniel had emigrated about 1760 from Scotland, probably locating first in Maryland. He soon joined the land seekers traveling south through Virginia’s Shenandoah Valley. He married SARAH NODDING in Maryland or Virginia. At least one of their children, Henry, was born in Virginia. By 1765 Daniel and his family had penetrated the future state of Tennessee, then the county of Washington under the jurisdiction of North Carolina county of Washington under the jurisdiction of North Carolina. Daniel served in the Revolution, his records being in North Carolina. About 1800 most of the family moved west and took up land in Williamson County, Tennessee, Henry owned a whole section of land where the City of Franklin arose later, about ten miles south of Nashville, Henry sold it for a nominal sum, and he and his father returned to Jonesboro before 1810. His brothers, Thomas, William and Elisha also returned eastward to near Madisonville, Monroe County. Henry served in the War of 1810-12 as a Captain in the First Regiment of Tennessee Militia. 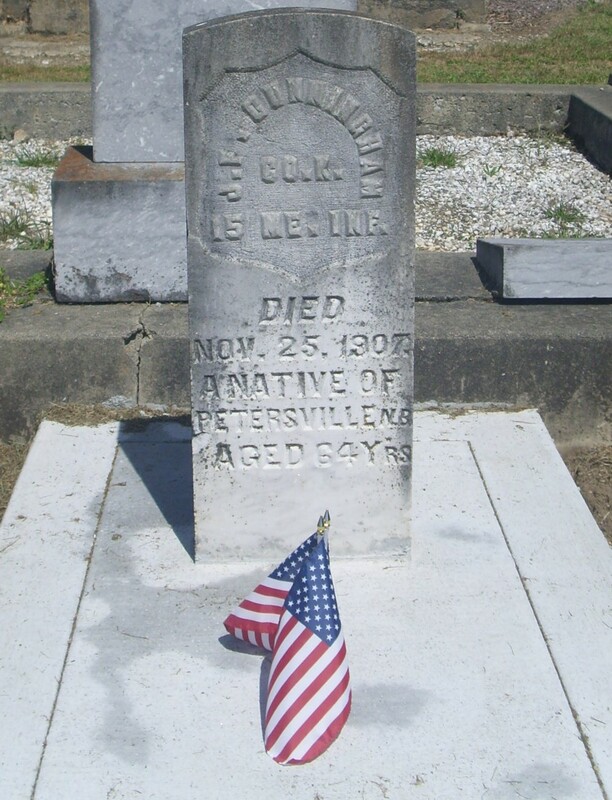 Three of his brothers served in the same company with him Lt. Philip, Ensign Thomas and Srgt. William. After 1830 the young Daniel probably joined his uncles in Monroe County, where there was plenty of work, clearing fields, cultivating and building. On the 17th of October 1837 Daniel and Malinda were married. Daniel moved with his new bride to Summerville Georgia, where he had secured the position of Sheriff of Chatooga County. 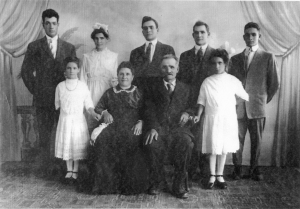 Daniel and Malinda spent eleven years in Summerville and had five children. In 1848 they returned to the homestead on Fork Creek near Madisonville with Mary Lucinda ten, Julia F., three, their only surviving children. Franklin P. was born in January of 1849 in Monroe County. 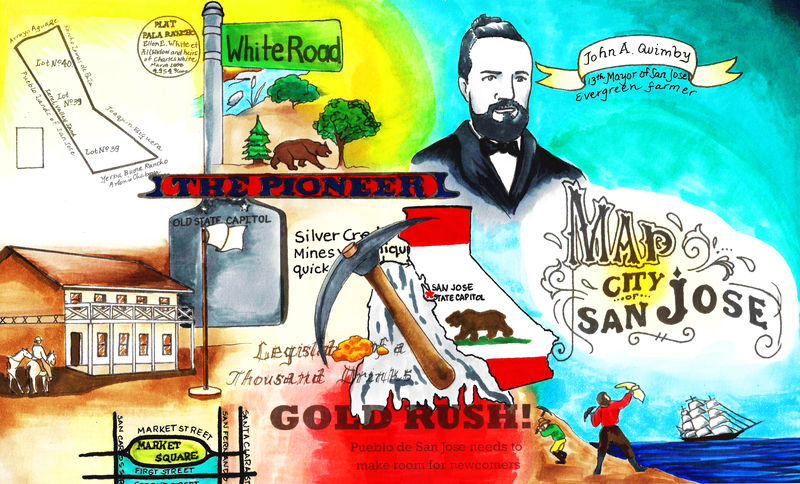 Through 1849 and ’50, Daniel’s brothers-in-law Joshua twenty two and Patrick twenty had sought permission of their father John McCroskey to join the gold rush to California. He had refused, pointing out the hazards and the uncertainty of success in gaining easy fortunes. During these two years, Daniel must have been weighing in his mind the realities he knew in Tennessee, of small rock bound valleys and sharp climate, against the overblown reports of gold fortunes in California and its reported wide, flat, fertile valleys and moderate climate. Springing from a line of land seeking forebears the California lands must have been predominate in his thinking although the gold find was one of the wonders of the world and deserved at least an inspection. Daniel must have thrown his support to the California trip, because early in 1851, before the birth of his son Victor on the 16th of September, Daniel with a young friend ROBERT W. GRUBB (his future son-in-law), Joshua and Patrick McCroskey travelled by stage and rail to New York where they took passage on a steamer plying to the Isthmus of Panama and thence by local boat up the Chargres River as far as it was navigable. From there they walked across the Isthmus with their belongings on their backs to Panama City. On the ship from New York they had been crowded like cattle to accommodate passenger lists of two and three times normal capacity. 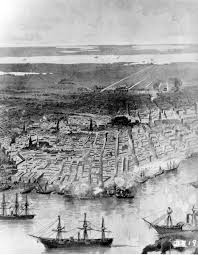 By the time they reached the Isthmus, possibly five to ten percent of the passengers had come down with so-called yellow fever. Many died in the primitive Indian village on the Chargres River. (See The Romance of the Age or the Discovery of Gold in California, D. Appleton, New York, 1867, a copy of which Daniel purchased in San Jose in 1867). The four men waited only two days before getting passage to San Francisco. After two days at sea Patrick sickened and died of yellow fever. He was buried at sea off Acapulco, Mexico. 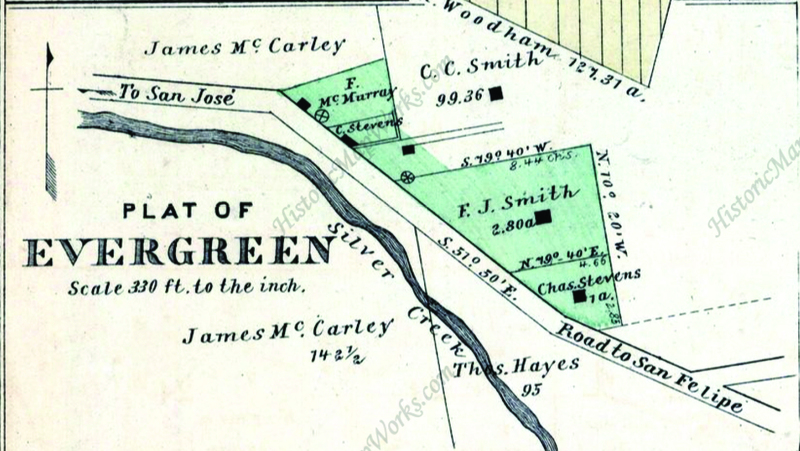 On arrival in San Francisco, Daniel and Robert Grubb went to the gold diggings out of Sacramento while Joshua proceeded to San Jose. There he engaged in farming produce for sale in the San Francisco market, Daniel and Robert were convinced by the reports of Joshua that their forte lay in farming. They were found in San Jose in early 1852 engaged in farming, more to their liking than the hectic mine fields. 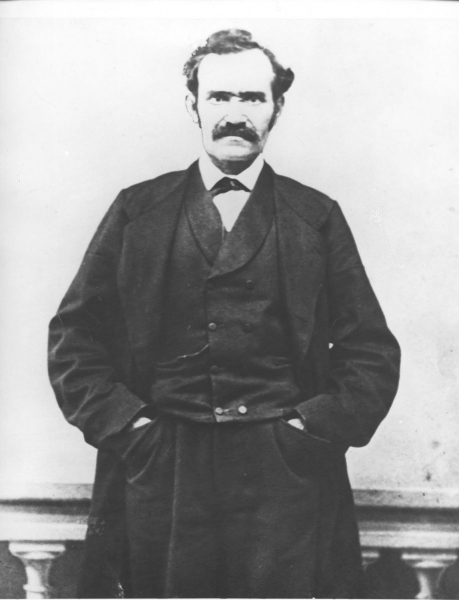 By the winter of 1856, Daniel had established the means to bring his family to California. He also probably had settled on land near San Jose that was considered Public Domain, based on the assumption that the land grants made by Spain were no longer valid when the territory was taken over by the United States. Daniel returned to Tennessee by the route he had taken to California, leaving Robert Grubb to guard whatever property he had adquired. By April 11, 1857 the Daniel McCrays had packed their household furniture and dispatched it by sailing ship around the Horn of South America. That afternoon they caught a train at Sweetwater, ten miles southwest of Madisonville for their trip to Charleston. The party consisted of Daniel and Malinda, aged 43 and36, Mary 19, Julia 12, Franklin 8 and Victor 6, Other members of the party were a Mr. White, Jones, Fred Graham and “Old-Ten” (Tennessee?) Weathers, possibly a relative of JOHN F. WEATHERS who was probably already farming near San Jose, their future son-in-law. One can imagine the trip by wagon team from Oakland to Evergreen in a California May. Daniel may have acquired or built some sort of shelter on his land. Probably Robert Grubb had lived there while Daniel was in Tenneseee. 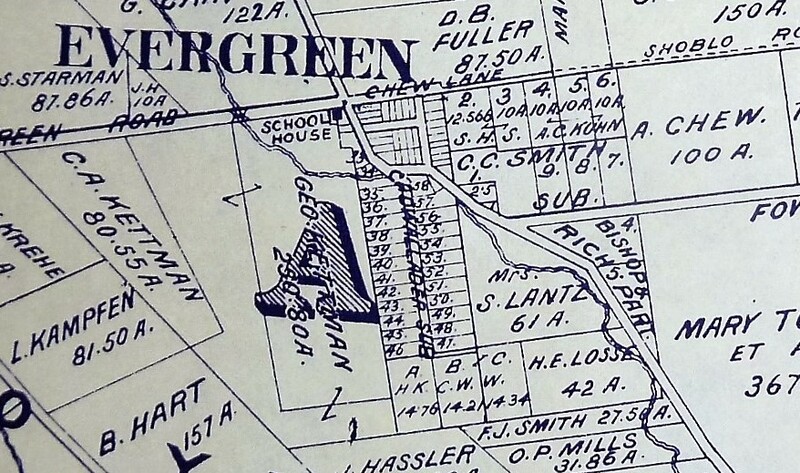 The children, Julia, Franklin and Victor, were enrolled in the Evergreen School at the junction of Evergreen (Aborn) and White Roads, two miles from their home in the east corner formed by the intersection of King and Tully Roads, then unnamed. Mary L, McCray was married to ROBERT W. GRUBB on September 12, 1857. She was nineteen years old. They probably lived on the McCray ranch, A son Harry was born to Daniel and Melinda on December 10, 1858. By this time the consuming topic of conversation was the validity of property titles, whether they claimed them as homesteads or had bought from earlier settlers. It began to appear that the United States Courts might uphold the legality of the land grants to appear that the United States Courts might uphold the legality of the land grants made by the Spanish monarchy or the Mexican government. To explain the conflicting announcements, the City of San Jose claimed ownership of certain lands, because of the rights and lands passed down by the Pueblo de San Jose de Guadalupe, set aside for town and public use by the laws of Spain. 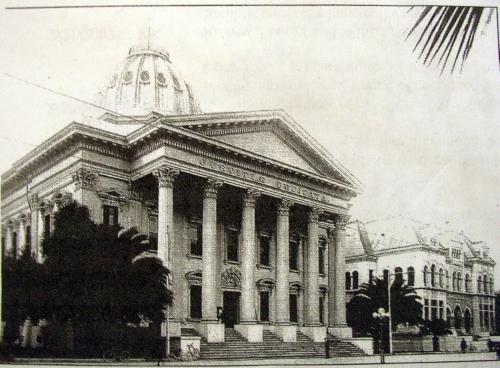 The Land Company claimed some rights to these lands because of legal attachments they had made against them for debts owed them by the City of San Jose, specifically, for the balance and interest due on a building the members of the Land Company had had built, and sold to the City for the use of the first California Legislature meeting. 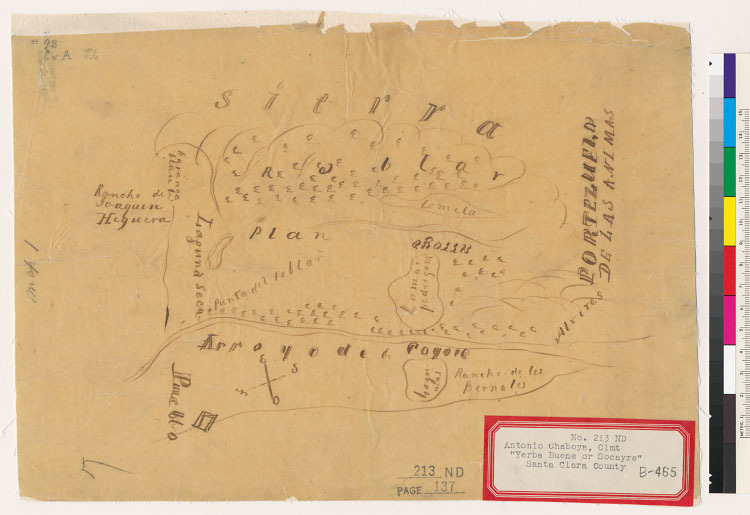 Some of the Spanish land grants, such as the one made to Antonio Chabolla, Rancho of the Spanish land grants, such as the one made to Antonio Chabolla, Rancho Yerba Bueno Y. Socarye overlapped some of the lands claimed by the City as belonging to the original Areblo de San Jose. Daniel took heed of these events and on November 28, 1859 obtained a Deed to 52 acres on which he lived from HIATT P. HEPBURN and HENRY WILKINS of San Francisco for $780, (Book O p. 503). These two men apparently had bought tracts of land from Antonio Chabolla on the speculation that the United States courts would eventually sustain the original Spanish land grants. The following December 12th Daniel obtained a Deed from the Commissioners of the Funded Debt for 54.9 acres the same body of land although slightly larger in dimension for $78.60, (Book N p. 2). It appears that Daniel felt quick action was necessary to protect the improvements he probably had made, so he was not in a position to quibble over 2.9 acres. No record has been found as to how Daniel acquired the property in the first place. On January 2, 1860 Daniel added 89.77 acres to his original 52 acre piece, lying on the N, E., from A. B. CLADWELL and wife MARY A., paying $897, (Book M p. 702). A few days later, January 14th Daniel cleared title to a small area of 6.44 acres lying on the S.W. of the piece bought from Caldwell, (Book N p. 94). By April 1861 the United States courts settled the matter of ownership of the Spanish land grant made to Antonio Chabolla, and numerous writs of ejection for possession of land occupied by settlers became obligatory for the Sheriff to serve on the squatters. He collected a posse of about six hundred to carry out his duties, but dismissed the posse when they gathered because they were unarmed and, when asked, were not in favor of arming themselves. 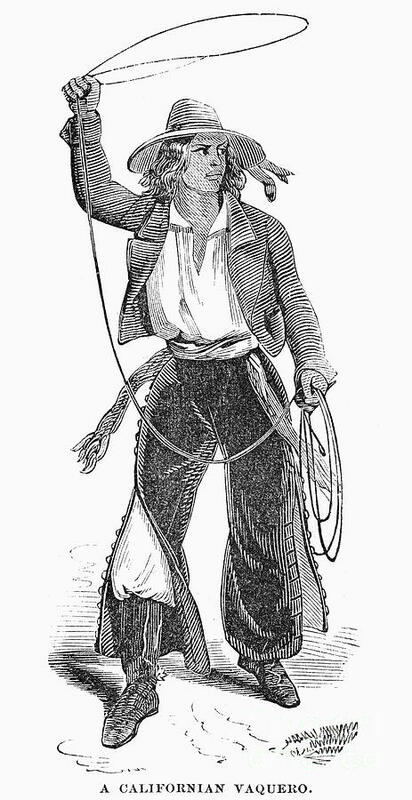 That afternoon nearly a thousand settlers paraded the main street of San Jose, on horses and in wagons, armed to the teeth, One contingent even brought a small caannon. They returned to their homes and no violence occurred. Some of the people in the parade were financially unable to clear the titles to their lands. Others had purchased properties from earlier settlers who claimed valid titles which now became null and void. Many were voicing disapproval of an act they believed fraudulent, not realizing that the decision were final in the highest courts. Matters were peaceably settled within a reasonable time. On May 10, 1861 another son, Leon G. was born to Daniel and Malinda. He survived only twenty days. On November 15, 1862 Daniel sold all his land, 141.72 acres, and buildings lying in the east corner of King and Tully Roads, to THOMAS H. FARNSWORTH for $26.00, (Book E p. 536). Even at this date the Tully Road is referred to as, “the road which passes said McCray’s house.” The exact reason for Daniel’s sale is not known. Another puzzle is that he did not take title to any other piece of property for two years. Where the family lived in the interim is not known. It is possible that Thomas Farnsworth did not need the buildings on the property and the McCrays remained there as renters. On February 22, 1863 Daniel and Malinda’s last child was born, Amelia, called Ella. 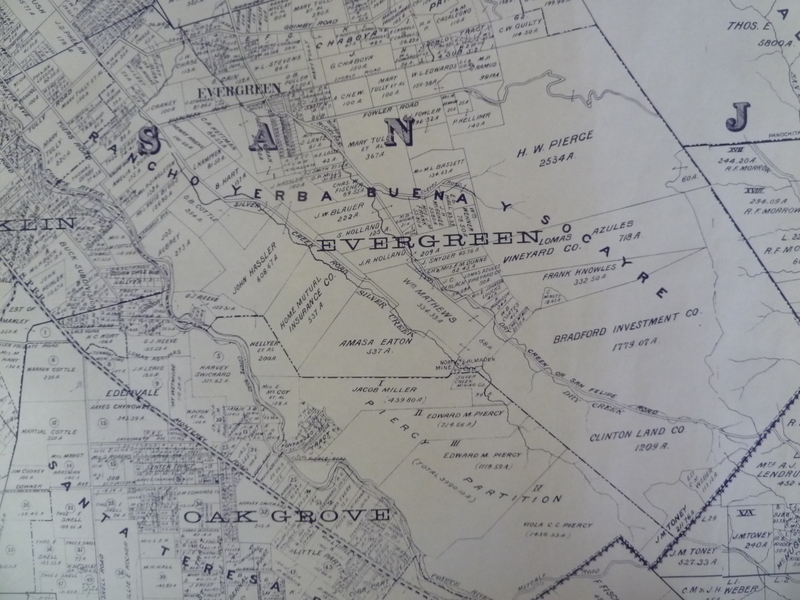 On October 26, 1864 Daniel purchased 148 acres near Pioneer on the Almaden Road for $1,500, whose western boundary was the Guadalupe River and its northern boundary south of Downer Avenue (now Blossom Hill Road.) The purchase was made from TRAVIS and MARTHA F. PHILLIPS, (Book T p. 68). By this date Franklin was 15 and Victor 13 and they had become well acquainted with their schoolmates in Evergreen. Two schoolmates were Mary, 14, and A1ice, 8, daughters of ORVAL and SARAH COTTLE whose home and ranch were one mile on Silver Creek Road, south of its junction with King and Evergreen (Aborn) Road. Mary and Alice, the future wives of Franklin and Victor, attended Evergreen School with a number of their sisters. 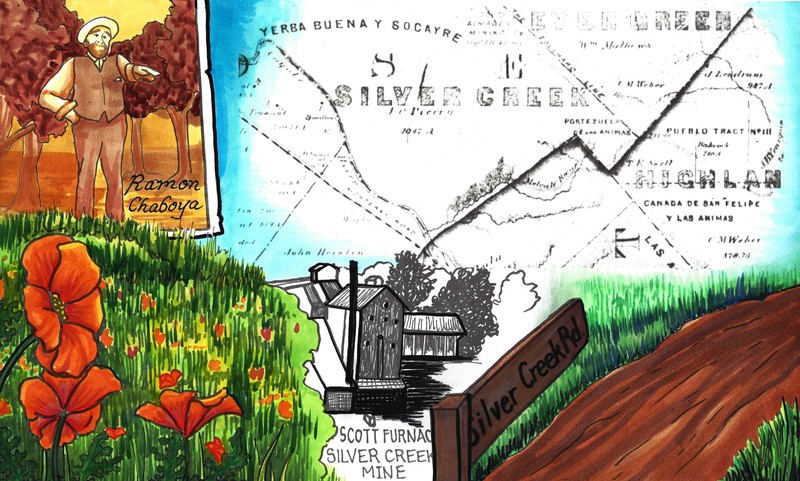 They walked to school via Silver Creek and Evergreen Roads, which were only wagon tracks. They told in later years of their struggles through mud nearly knee deep in gum boots whose appearance embarrassed them. They carried their regular shoes so they could change. 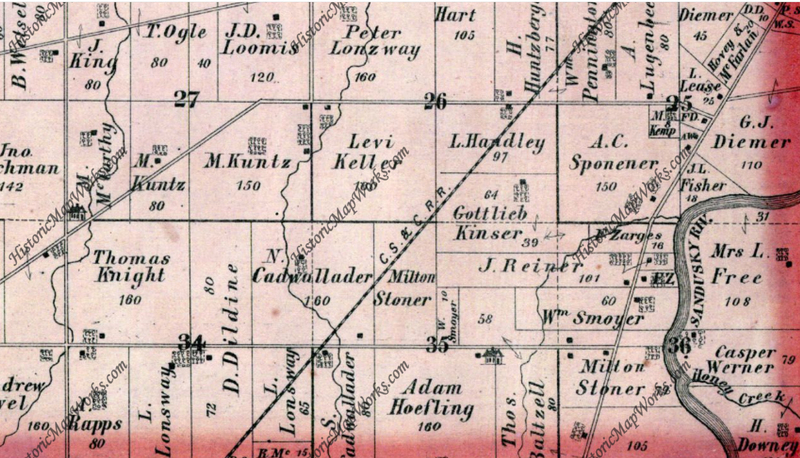 On June 26, 1873 Daniel and Malinda sold their 223.27 acres at Pioneer to WI LLIAM F. S. L. de A. GIESSENBERG for $11,150 (Book 30 p. 261). In the nine years the McCrays had acquired 248 acres for $3,500. Selling 223.27 acres for$11,150, they gain $7,650 with no allowance for improvements. Somehow, probably due to inaccuracies in the surveys they lost 24.73 acres in the transaction. This sale was no doubt for the profit involved, but also to allow the McCrays to move to Hollister and invest in the new lands just opened by the San Justo Homestead Association in the San Benito Valley, then contained in Monterey County. 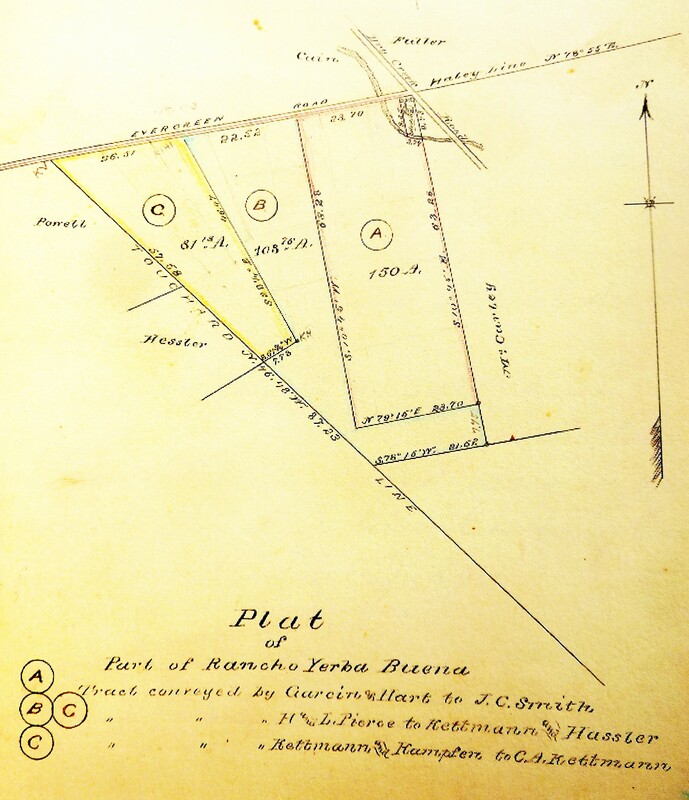 On August 18, 1873 they bought their first piece of land close to the center of town, and in the following three years they purchased four more plots, totaling 85.2 acres for an investment of $6, 275. 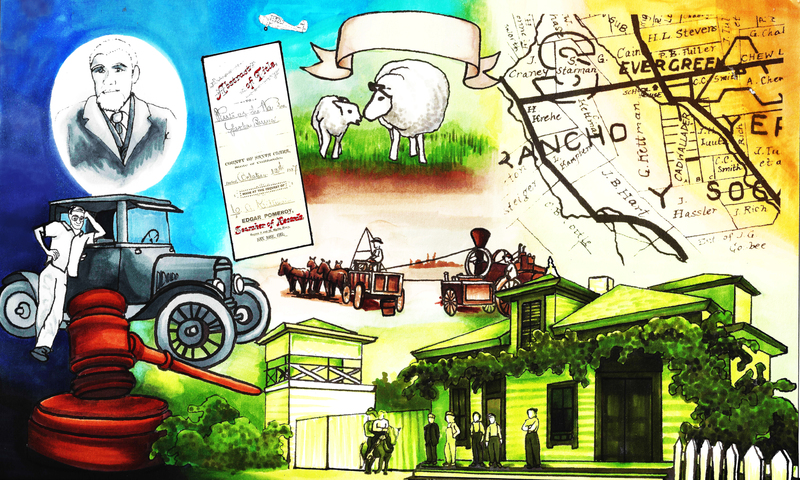 The town of Evergreen, still not apart of San Jose, was known for many things at the turn of the 20th century. One of the things, besides its plentiful fruit and famed wines, that put the Village of Evergreen and City of San Jose on the national map was the invention of modern flight. 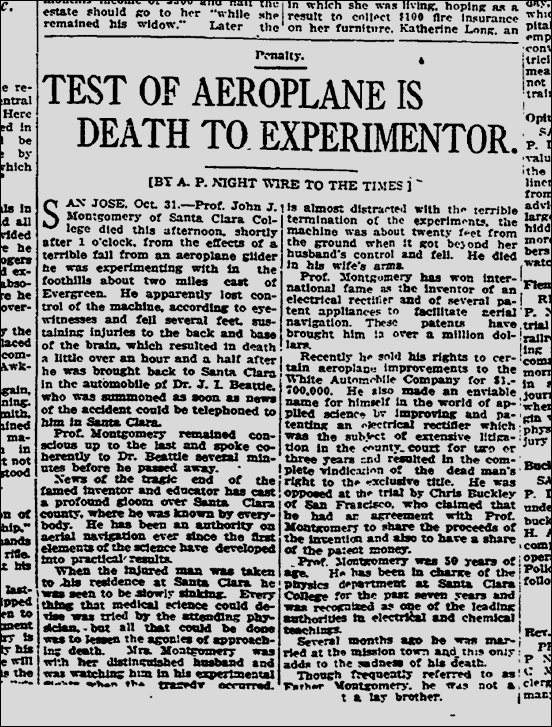 The inventor, engineer, and dare-devil John J. Montgomery would flight Man’s first controlled flight in 1883 and take flights from the Evergreen hillsides and in downtown San Jose in the early 1900’s. Montgomery and fellow aviator, Daniel Maloney, would give their lives for their passion and invention of flight. 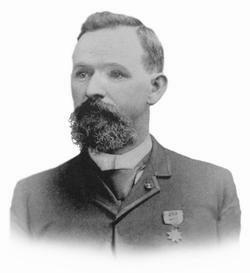 John J. Montgomery, the son of a prominent lawyer brought out West by the Gold Rush, was born in 1858 in Yuba City/Marysville. 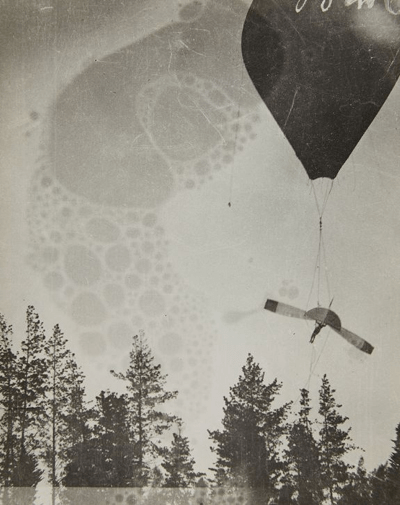 As a boy, John Montgomery would observe flight through birds in the sky and use that as inspiration throughout his work. Montgomery would also be inspired by another early aviator’s demonstration during his boyhood. 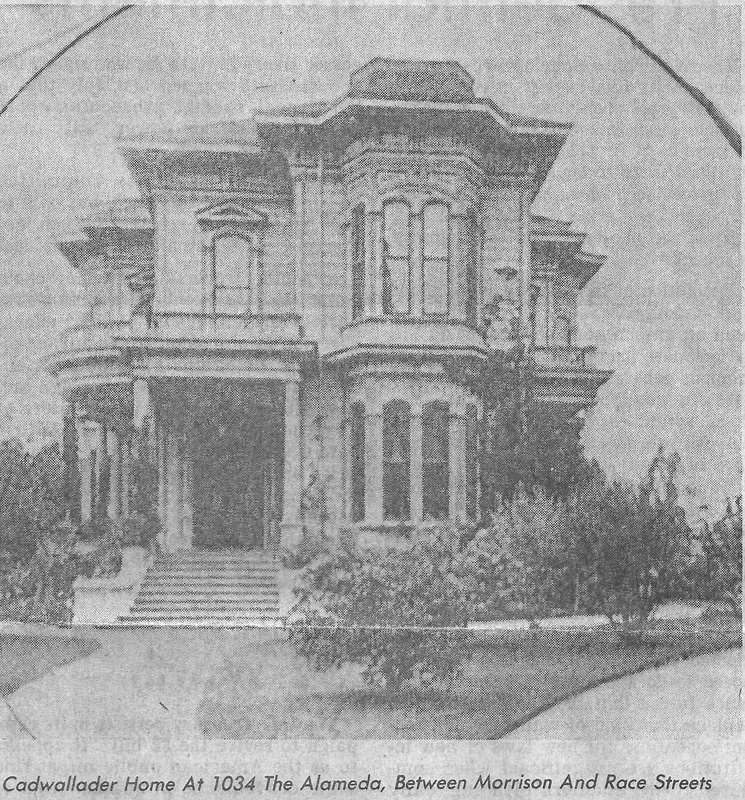 The Montgomery family would move into Oakland in 1864, where his father held a successful law practice. In Millbrae in 1869, a young John Montgomery would witness the flight of an airship, closer to a zeppelin or blimp, called the Avitor Hermes, Jr. Young Montgomery would go home to Oakland and build a model for himself. Only a hand full of people had ever been in flight. Back then, ships would be lifted by balloons of helium or hydrogen, and were only in air for a very limited amount of flight time, a matter of seconds, before descent. People have been fascinated with flight but baffled by its execution. In a Greek Myth, Icarus would try to fly with wings of feathers and wax that melted as he approached the Sun. This creates the message that flight is beyond our grasp. There were totally kites going back in history. 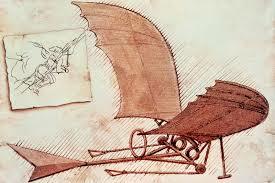 Leonardo Da Vinci would dream of inventing planes and helicopters in the 15th-16th century. 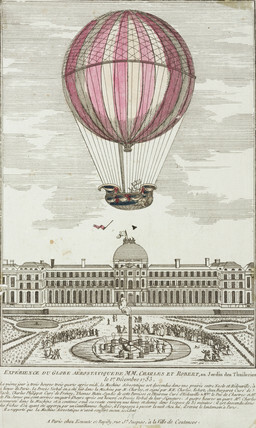 Hot air balloons and the like would be used in the later half of the 18th century. Before John Montgomery’s time, balloons would be the only way to make flight possible, pioneered by Jacques Charles and the Robert brothers. The obstacle with preceding inventions for flight would fall short because they were too heavy to launch from the ground. The planes would simply fall. 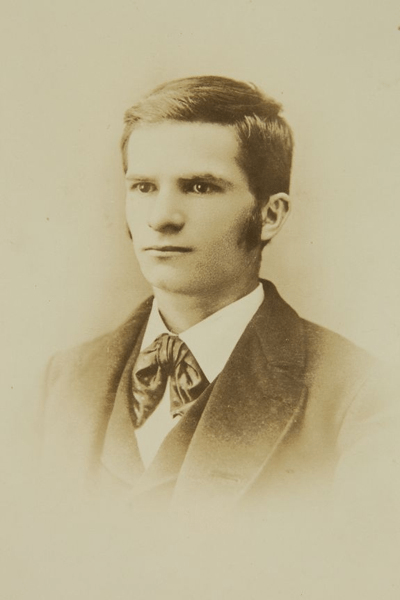 John Montgomery attended St. Ignatius College in San Francisco, graduating in 1879 and obtaining his Masters in 1880. James Lick Observatory would begin construction in 1879 and John would’ve become aware of Santa Clara County’s elevations. 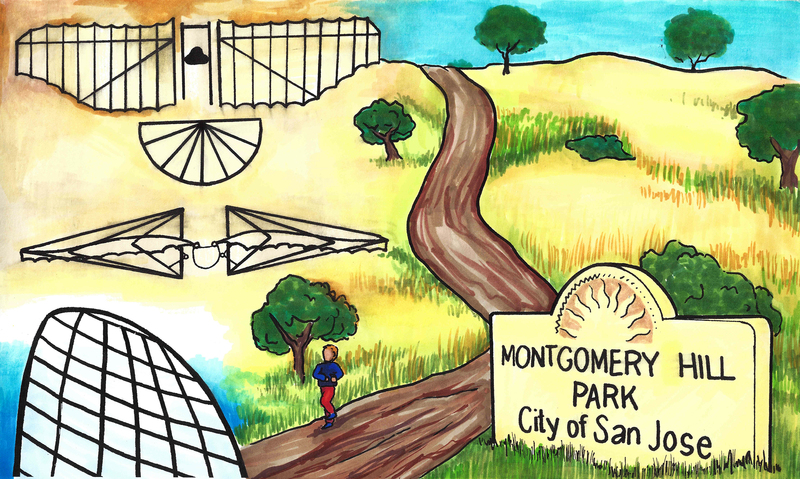 Montgomery would start designing his flying machines in San Diego County in 1881 when his family moved there after college. After his hours working on the farm, he would pour the left over energy into his theories. John Montgomery would build models in the barn’s attic. These first designs, Montgomery would work with a flapping wing like Leonardo Da Vinci’s sketch. The flapping wing wouldn’t be as effective as a fixed one. 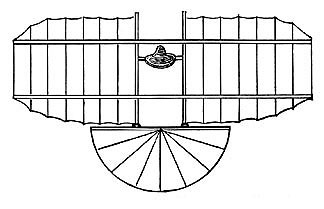 In 1882-84, Montgomery would experiment with flight outside of San Diego along the Mexican border with “gliders”, a monoplane closer to a hang-glider than Leonardo’s flapping flying machine. Gliders would require perfect conditions to get and keep in flight or the aforementioned balloon would raise the machine hundreds of feet. This is a scene from Montgomery’s San Diego area workshop. This machine was inspired on the wings of seagulls. John J. Montgomery’s flights in the 1880’s would be the first heavier-than-air flight, the event observed by friends and family members but not widely publicized. This glider would’ve been a gull shaped, single winged flying machine, or a monoplane. The glider would ignore the “Yaw” or center of mass, the gravitational force towards that would swing from the heaviest point, the pilot. During this time, Octave Chanute, a contemporary critic, would have harsh words for Montgomery, but Montgomery’s pursuit of flight would continue. John J. Montgomery would continue experimenting and flying throughout California, in San Diego, San Francisco, Santa Cruz and Santa Clara Counties. To fund his inventions, John Montgomery would pursue other endeavors within physics and engineering. In 1884, Montgomery would be granted a patent for the process of vulcanizing and devulcanizing rubber. In 1885, Montgomery would start also experimenting with how air flowed over different shaped surfaces, adding considerably to the field of aerodynamics. Montgomery, still in San Diego County, would be so secretive about his experiments, no one knew what he was up to at the time but close family members. The fruit of this labor would later be written in trade publications and heard during groundbreaking Aviation Navigation discussions in the early 20th century. Inspired by the articulating wings of turkey vultures and eagles, he would being to tie the fixed wing to a guiding mechanism to keep the plane even or balanced. Montgomery’s research would prove a slightly curved surface best for his gliders. Montgomery would also start programming direction and counter-controls for gusts of wind and easy turning through a series of spring loaded mechanisms. John J. Montgomery was finally hearing through the newspapers and his brother, in New York, about other early aviators. This news and competition would inspire Montgomery to act upon his research, and be a part of the conversation in the new field of science. In 1893, Montgomery attended the Chicago Columbian Exhibition to listen to Nikola Tesla speak about electricity. Once there, John would introduce himself to the aviation and physics professors, inventors and theorists. His networking paid off, and Montgomery would be invited to speak at the conference himself and gain through his experiments. 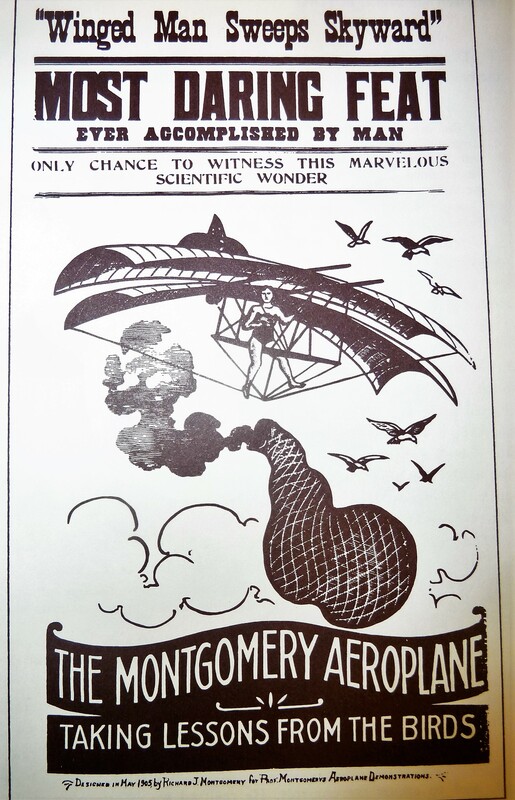 Montgomery, gaining fame for his accomplishments, would begin lecturing at colleges across the country, demonstrating flights and investigating the physics behind flight. The flow of air over the wing would affect the next design of flying machines. In 1895, John J. Montgomery would own a patent for a better petroleum burning furnace. 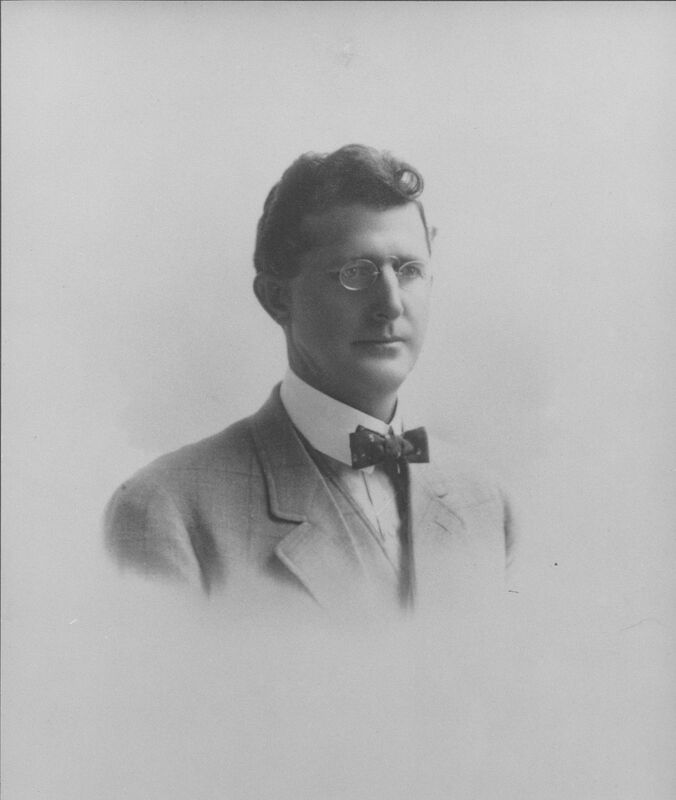 John Montgomery would be invited to take a teaching position with Santa Clara University in 1897. He would teach physics and other sciences. At the University in 1901, Montgomery would begin experimenting with Father Richard Bell on wireless telecommunications or radio, transmitting messages as far as San Francisco. In later years, he would demonstrate flight for hundreds of spectators at Santa Clara. 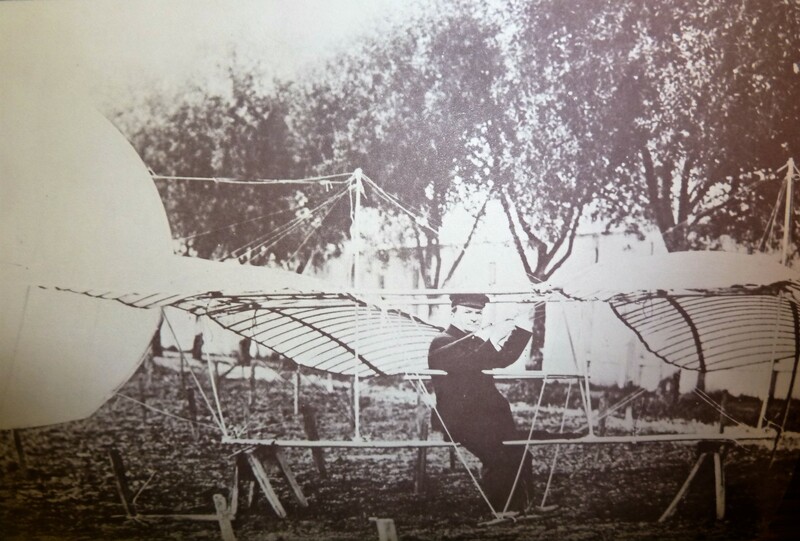 In 1903, John J. Montgomery would begin to develop this gliders again while teaching at Santa Clara University. He would also coin the word “aeroplane”, which later became “airplane”, and gain the patent in 1905 for the improvements of the technology. 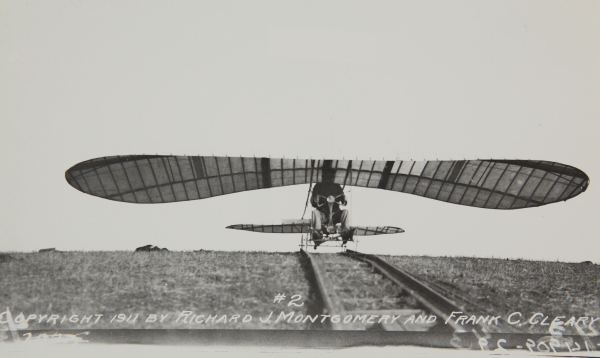 Inspired by the collaboration of a colleague, Montgomery would design a tandem winged glider with a propeller. The collaborator would take Montgomery’s propeller design and win first place at the World Fair in St. Louis, Missouri. Sometimes, competition is the healthiest thing for invention and innovation. John J. Montgomery wouldn’t be discouraged by the professional betrayal. Montgomery would lead several successful high elevation flights launched from balloons and maintaining flight for several minutes until gliding to a gradual stop. The Wright Brothers would also be taking flight around this time. What separated Montgomery’s work from other early aviators, besides beating them to flight by 20 years, was the duration of flight and the controlled figure eight patterns demonstrated. Montgomery’s machines wouldn’t have a motor at this point, but that wasn’t Montgomery’s priority. Safety and control were paramount to him. 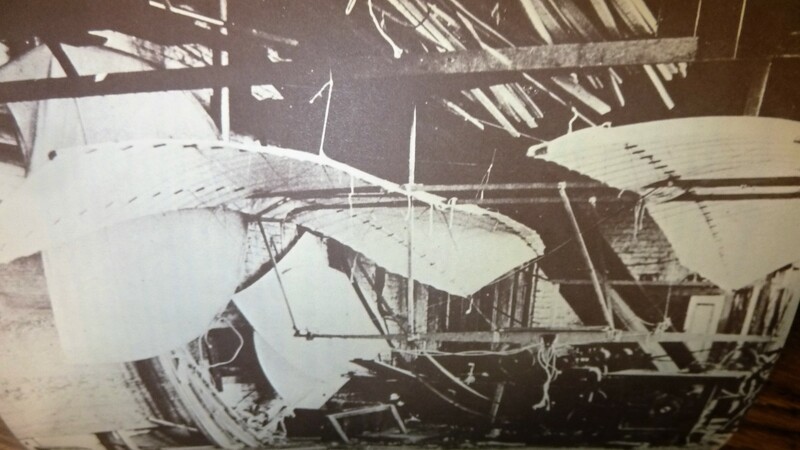 In July of 1905, Montgomery’s friend, colleague and test pilot, Daniel Maloney, would die testing on of his gliders on a balloon elevated flight. The Santa Clara, this version of the aeroplane, was flown hundreds times. The machine was damaged on a previous flight but hadn’t broken completely until that point. 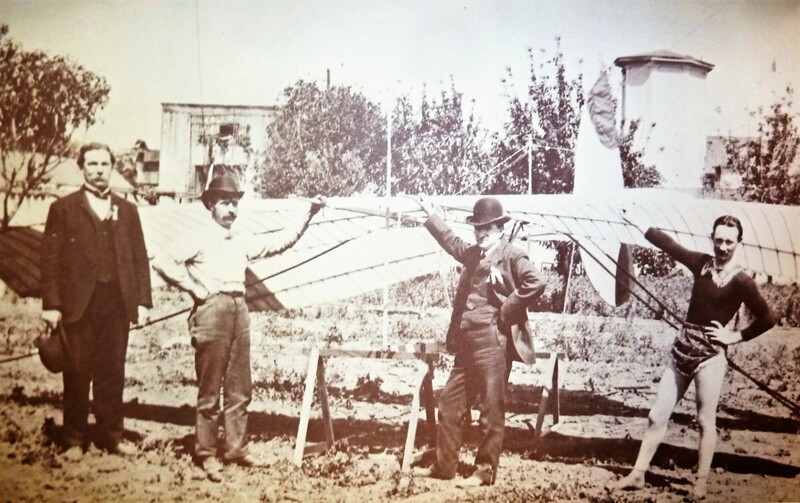 Maloney and Montgomery would’ve tested their gliders in the hills of Evergreen, as well as other places, before demonstrations in the City of San Jose and the University. This event and the big Earthquake of 1906 would cause Montgomery to take a little break from flying. Montgomery would always be inventing and contributing to a wide range of industries. In 1909, perhaps inspired by hearing Nikola Tesla speak in 1893, John J. Montgomery would patent an alternating current rectifier. This would’ve improved radios and electrical vacuums at the time. 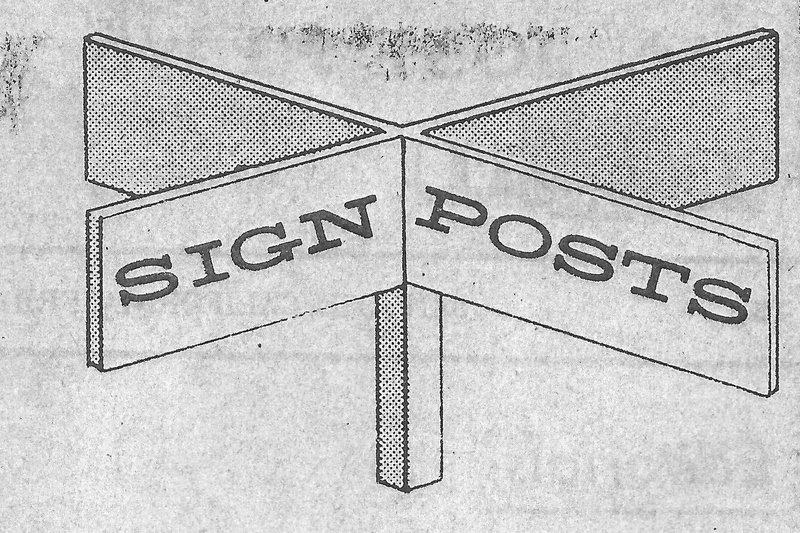 The semi-conductor would replace this technology later on. Current Alternating Current Rectifiers are still used in DC (Direct Current) and high-voltage situations today. Most power sources around your house are grounded (GFC), not direct. 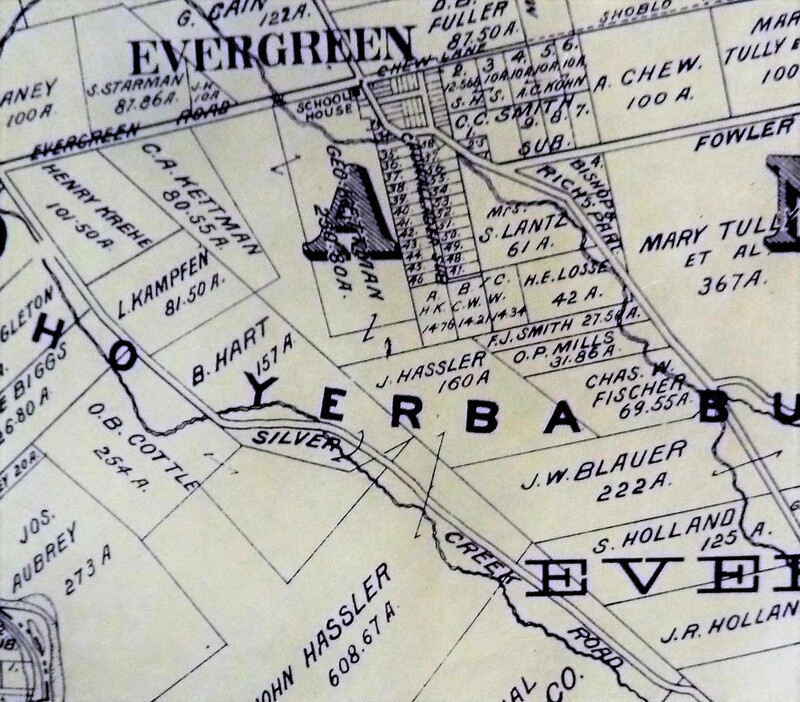 Despite popular belief, John J. Montgomery didn’t actually live in the Village of Evergreen. Montgomery lived closer to Santa Clara University where he worked and the Pueblo of San Jose that built up around the Mission of Santa Clara. John Montgomery would come to get permissions from Evergreen’s Ramonda Family to fly on their ranch with the optimal hillsides to take flight from without the assistance of a balloon. John Montgomery would fly again in 1910, after finding his love. Montgomery fixed, immobilized, the tail of the airplane and incorporated the guiding features into the warping of the wing pattern. From there, John J. Montgomery was to add an engine and patent the design as the first plane. This design was titled “the Evergreen”. Unfortunately, during this series of flights and trials, John J. Montgomery would pass away after a landing he couldn’t walk away from. On October 31, 1911, Montgomery would fly through Evergreen for the last time. Without his contributions to the field and his competition that drove other inventors, we would be flying hundreds of miles an hour in metal tubes over a hundred years later. Beyond that, Montgomery was constantly improving upon technology and his work is around us everywhere, from our car tires to our electrical outlets. 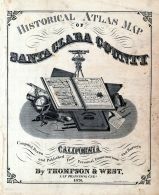 The experiments and public demonstrations in Santa Clara County brought another claim to fame for the Valley of Heart’s Delight. 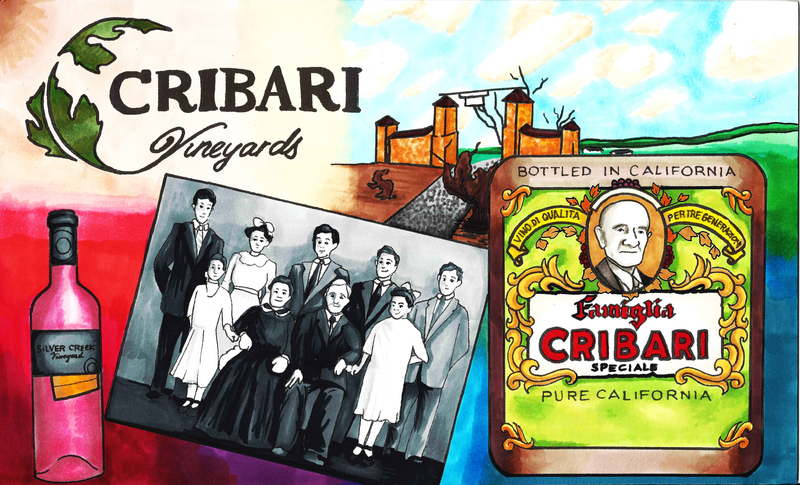 If you didn’t know Evergreen’s famous fruit or famous wines, you would’ve heard about that guy who died flying there. The park and monument are here in Evergreen at Montgomery Hill Park along Yerba Buena Road and San Felipe Road, near where he passed. 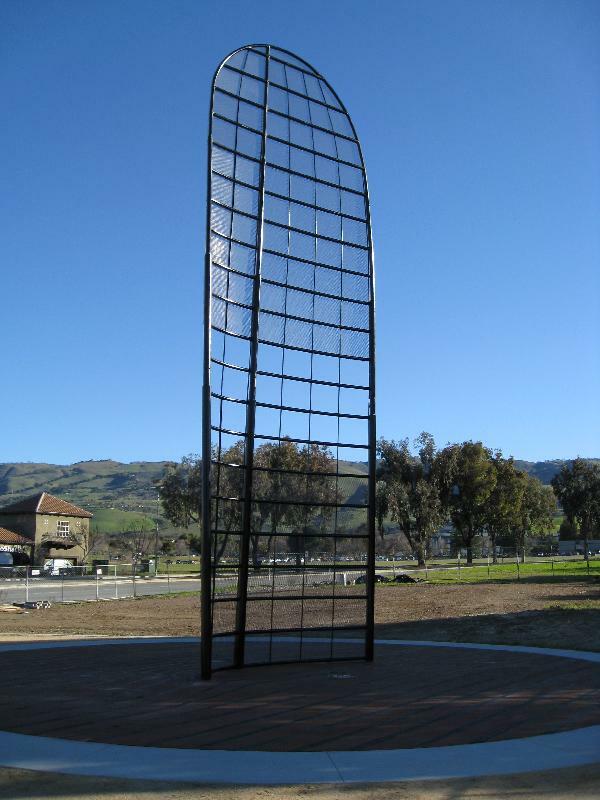 Another monument stands today at the Santa Clara University campus. Another airplane wing stands at the site of his San Diego County flights. You can also view his work at the Smithsonian Museum in Washington D.C or the much closer Hiller Museum in Redwood City. His great grandnephew has written a book and has agreed to our interview on the subject of John J. Montgomery and flight in general, at he follows in John’s footsteps as a professor of physics at UC Santa Cruz. 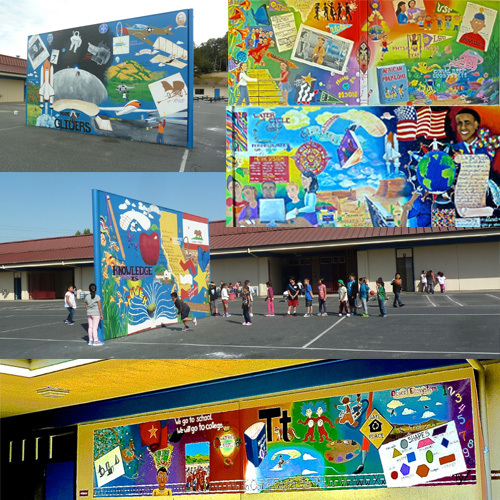 My experience and my knowledge of John J. Montgomery began with painting for the Evergreen School District at the school named in his honor. Otherwise, I would’ve remained unaware of the inventor. There, one of the ball walls specifically discusses the History of Aviation and where John J. Montgomery fits within that narrative. Gliders were incorporated into all the murals on campus. Other longtime Evergreen residents, like Jerry Kettmann, would’ve had an intimate relationship with aviation, cultivated at the nearby Hillview Airport. Harriet Quimby would’ve been directly inspired by Montgomery’s flights. 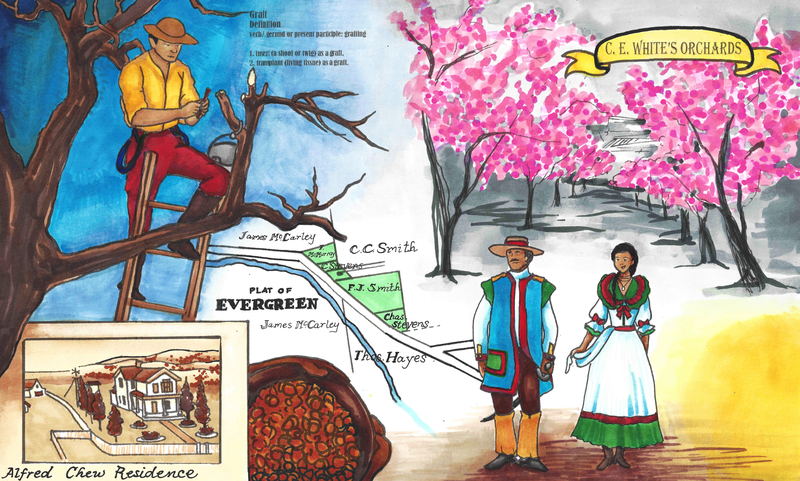 Here’s the artwork we have planned for John J. Montgomery who helped put Evergreen on the map. My grandmother used to own a home off Norwood Avenue and have volunteer grapevines charging up through her hillside backyard. Little did she know, my grandmother’s house was a part of the Pellier estate, one of the largest in early Evergreen. 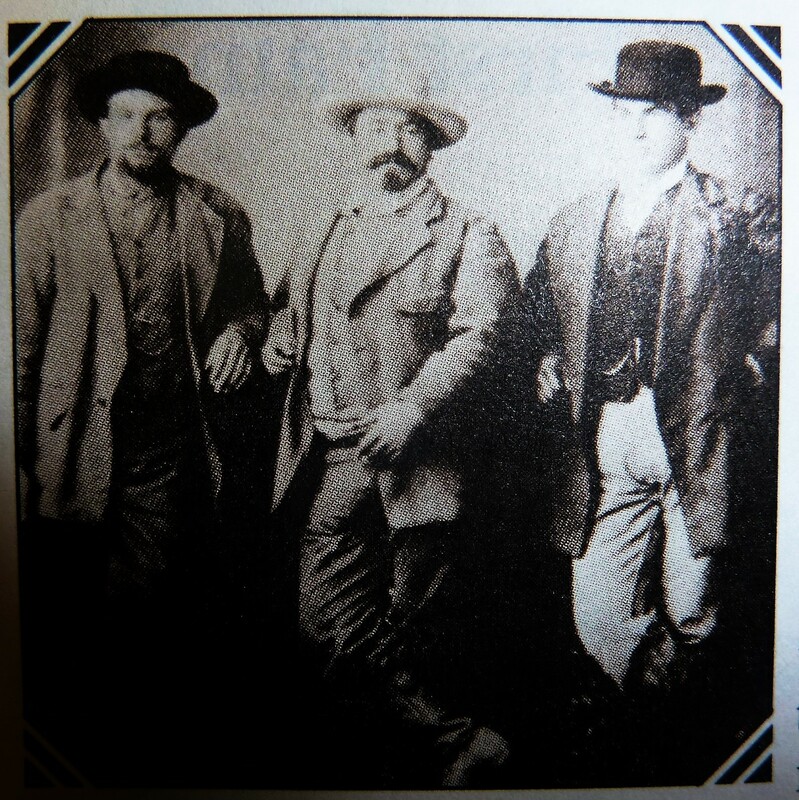 The Pellier Brothers would eventually come to call Evergreen home in the late 1850’s. 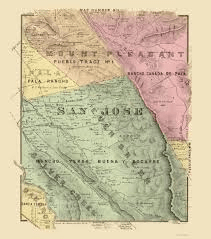 Before that, the Pelliers would live in the Pueblo of San Jose as California became a State and as San Jose became its Capitol in the early 1850’s. 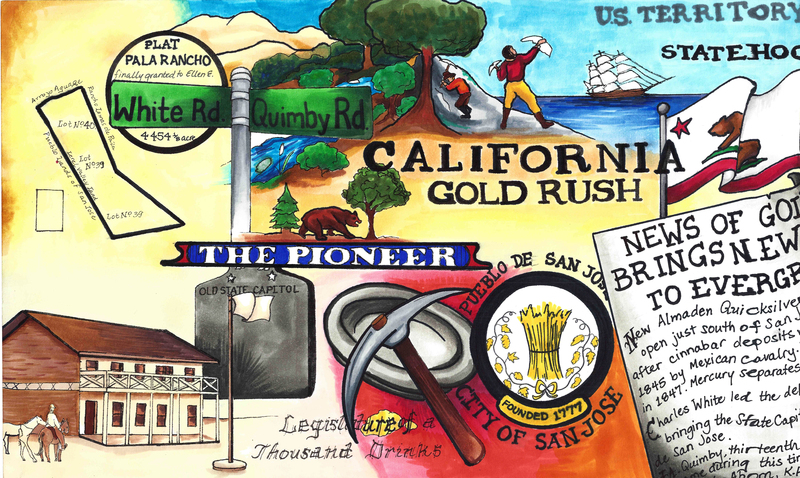 Luis Pellier would get creative with his brother Pierre while gold panning in 1848, changing San Jose and California forever once again. By bringing over their cions , seeds, clippings and plantings from their Native Country of France, Luis, Pierre and Jean Pellier would set fire to the huge California Fruit Industry. Basically, there was no industry before that, as Mission lands and their predictable orchards were left unattended and were being reclaimed by wilderness. The California Missions were secularized by Mexico in 1833. By the time the Pelliers came to California, the Missions weren’t even holding Catholic Mass. In fact, Evergreen before the Pellier journeys would’ve been cattle grazing land. 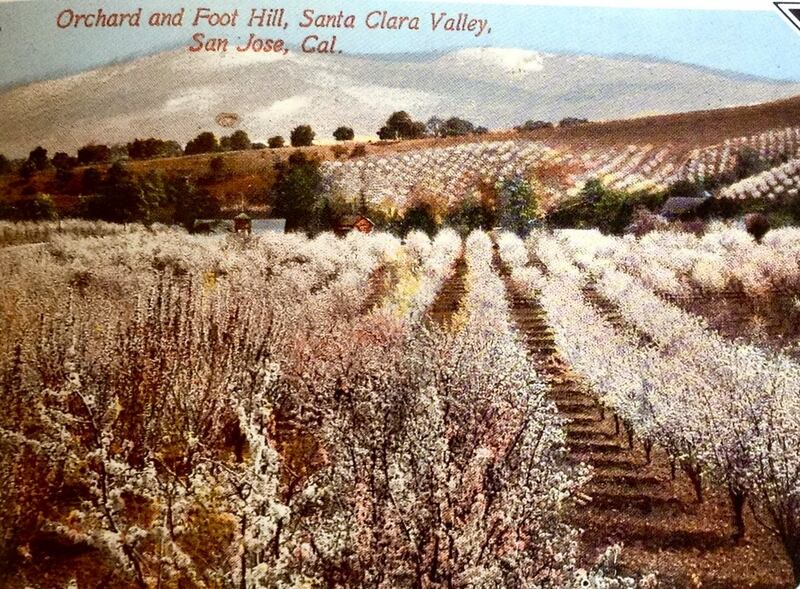 After the Pellier journeys, Santa Clara Valley would become known as the Valley of Heart’s Delights. 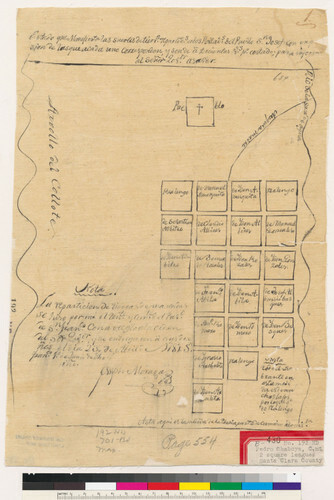 What was grown in the Spanish Period at the Franciscan Missions in California from 1769-1821? I’m so glad you asked. The indigenous native peoples, priests and monks grew “mission grapes”, apples, lemons and oranges, beans, veggies and olives for the most part. Olive Oil would be a source of pride for the Missions. 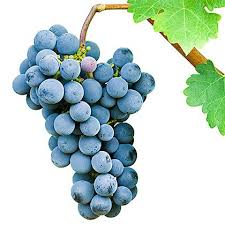 The “Mission Grape” of the Spanish colonists was a Vitus vinifera, a Spanish variety that was black and blue in color. The clippings would’ve been brought over sea with Cortez’s colonization of Mexico or New Spain. 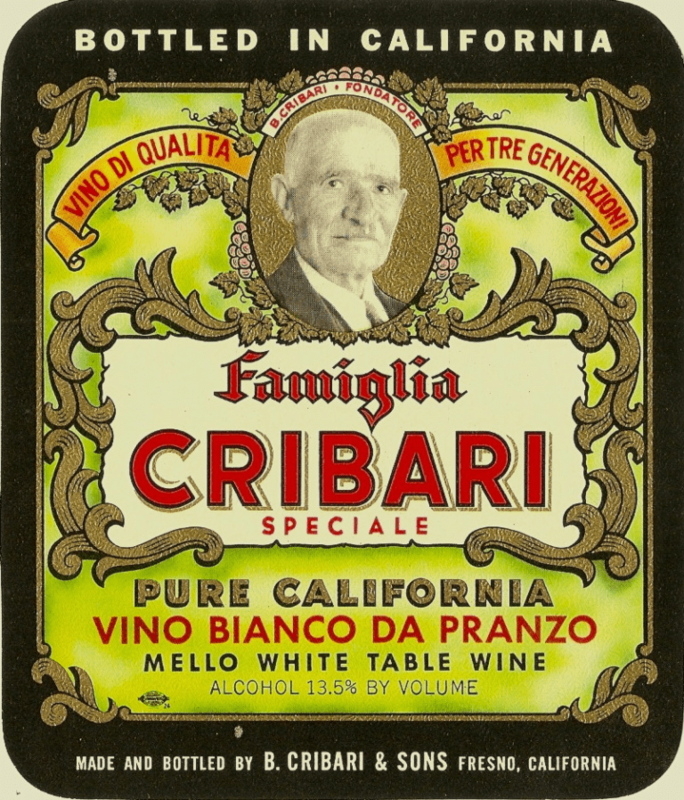 Only problem was less than 1000 acres of vineyards would be cultivated in California until the 1850’s. These plants were a dying off as people left the Missions. The Mission Grape would have been made into wine for Sacraments. The Spanish may have brought apricots as well, originating in Turkey. 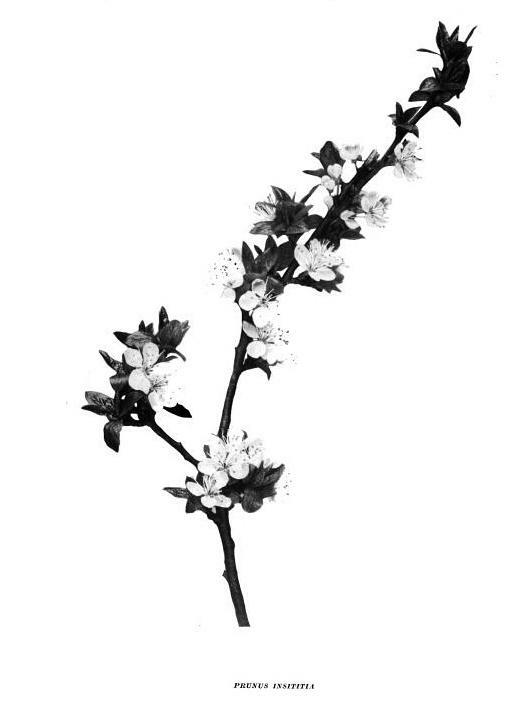 There was an indigenous plum tree present in California. A wild grape, too, would be indigenous. Mission San Jose would be one of the biggest producers, but would’ve been closed for several years by the time the Pelliers set sail. 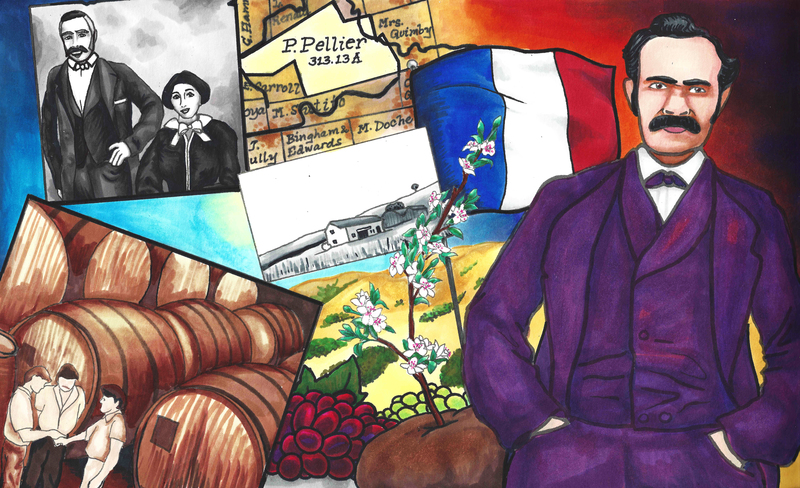 What did the Pellier brothers from France with help from the Delmas brothers bring to the Port of Alviso and to Santa Clara County? Luis and Pierre Pellier would pull into port and sell peach, pear, plum, cherry, apple and prune cions off their boat in Alviso in the 1850’s. Certainly his most famous contribution was the Angen ‘D Petit Prune, but the Valley of Heart Delight would begin with these trips to France and these cions. 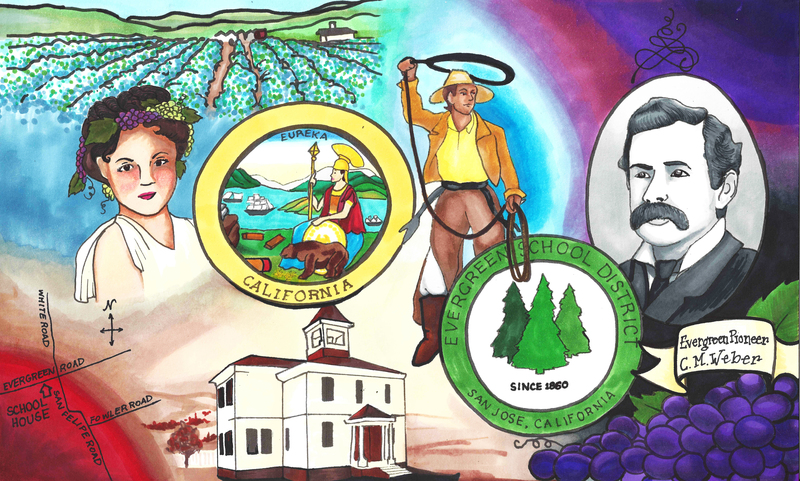 With the driving force of the Pelliers’ new varietals, the Fruit Industry would soon provide thousands of jobs, would drive people to come to the Santa Clara Valley and would bring spark the Fruit Canning business. We, in California, still feel the benefit of their actions today. The French Prune brought to California in 1854 was considered perfect for drying and dipping. After it was grafted on to a California plum tree, it became an instant success. Pellier raised orchards of prunes and a nursery famed in downtown San Jose. 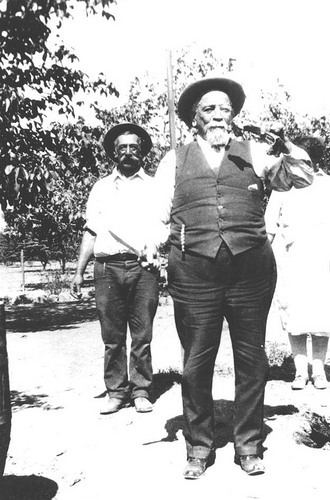 The Angen ‘D Petit Prune was immediately adopted by other Santa Clara Valley’s orchardists. This would become Santa Clara County’s identity to the rest of the United States through the 1950’s when Silicon Valley bumped it. The prune’s attributes, complimentary for drying and dipping, would make them a popular commercial export. The Prune Orchards would quickly spread all over Santa Clara County, the Valley of Heart’s Delight, and then all over California. 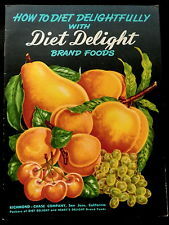 The French Prune ignited the whole California Fruit Industry, as only dried fruits could be exported. The Mexican Government had a hard time settling California. 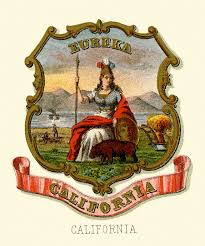 California through the Mexican Period (1821-1848) wouldn’t be well-known for its awesome agriculture, despite the rich soil noted by the Spanish Missionaries. Evergreen was a grazing land. The Missions closing meant the crops became scarce. Pellier’s strategy was inspired by the high price of fruit. 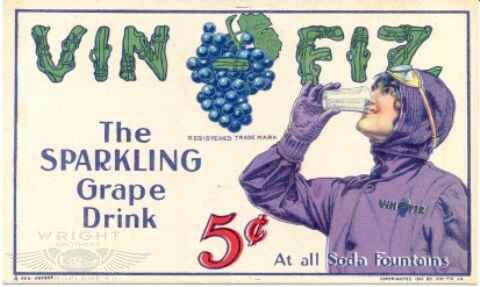 A dollar gets you much less today, so you will naturally need more dollars to obtain the same product over 100 years ago. Here’s an exception to that rule. 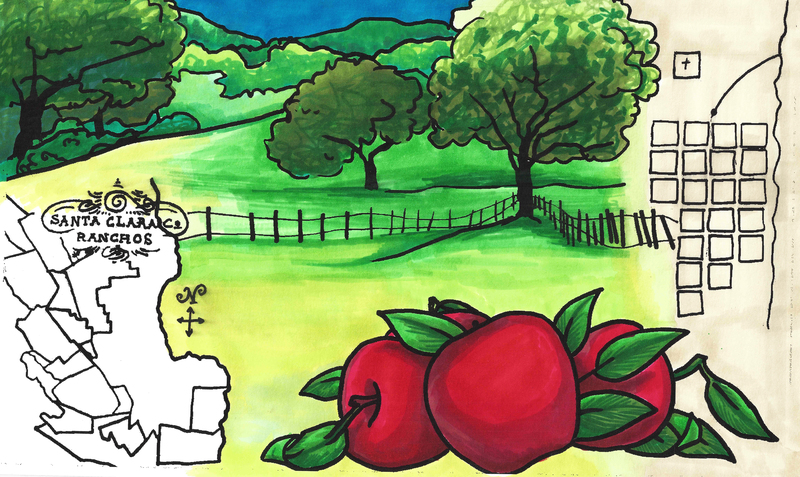 Before Luis and Pierre Pellier’s travels, an apple would cost over a dollar. Today, $2.00 would get you a pound or several apples. The demand was so high for apples and produce, most people couldn’t afford them. You could forget about apple pie. That would’ve cost you over $20.00 in apples alone in 1850’s California. 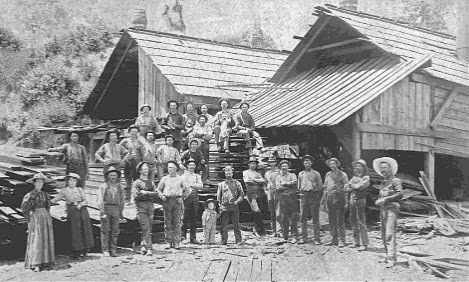 If you were in California in the 1850’s, you were a pioneer, gold panning and roughing it. Their business idea was brilliant. I wonder if they knew about the Manifest Destiny campaign that would send thousands of newcomers to California in a few short years. 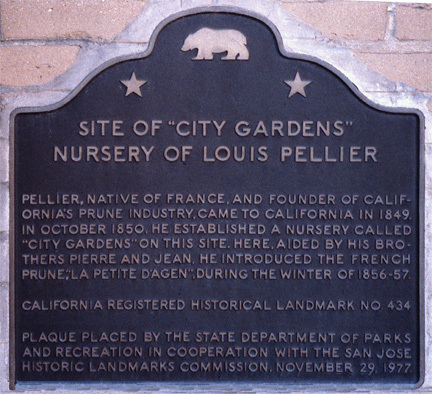 Luis Pellier would open “City Gardens” and sell his cions and young trees to the rest of Santa Clara County’s farmers in 1850. This was the epicenter of the Valley of Heart’s Delight, creating a path to the American Dream for farmers coming to California. 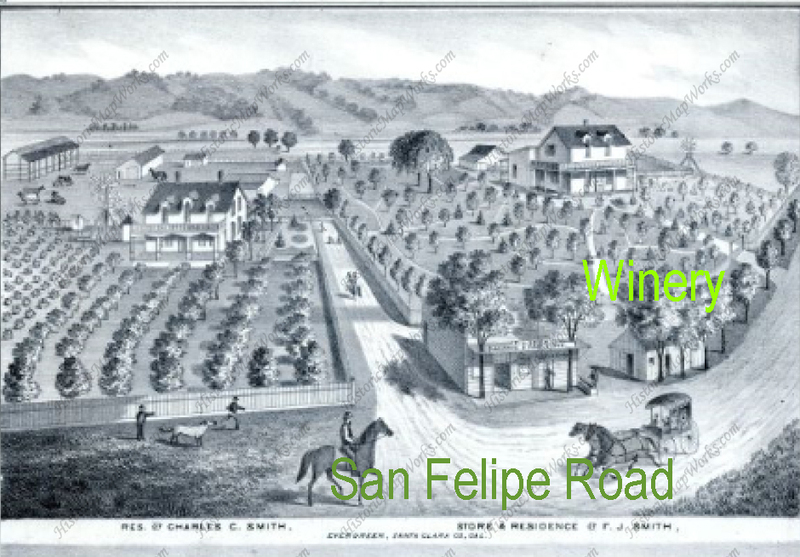 The Pellier brothers would leave their popular nursery and orchards in downtown San Jose, where Pellier Park is today, and move to Evergreen to plant acres of vineyards in later 1850’s. 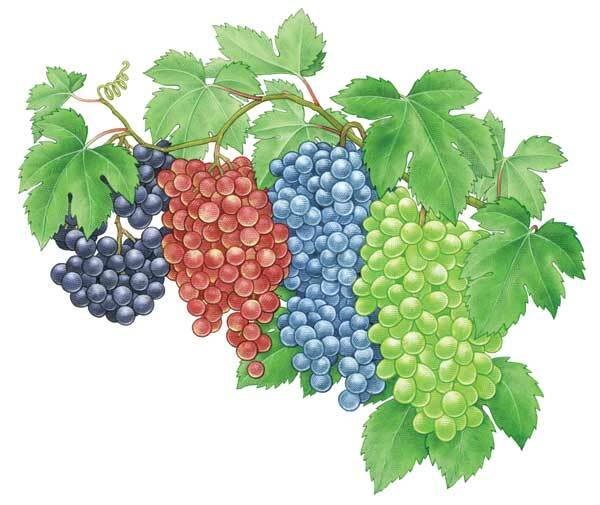 In 1858, Luis Pellier, now Evergreen resident, would present nine varieties of foreign grapes at the national trade show, being described as “unequalled to any other of the same variety”. Luis Pellier’s introduction of new grapes would almost single handedly create the California Wine Industry as well. Grafted on to Mission vines and indigenous vines, these grapes is really well in Evergreen. 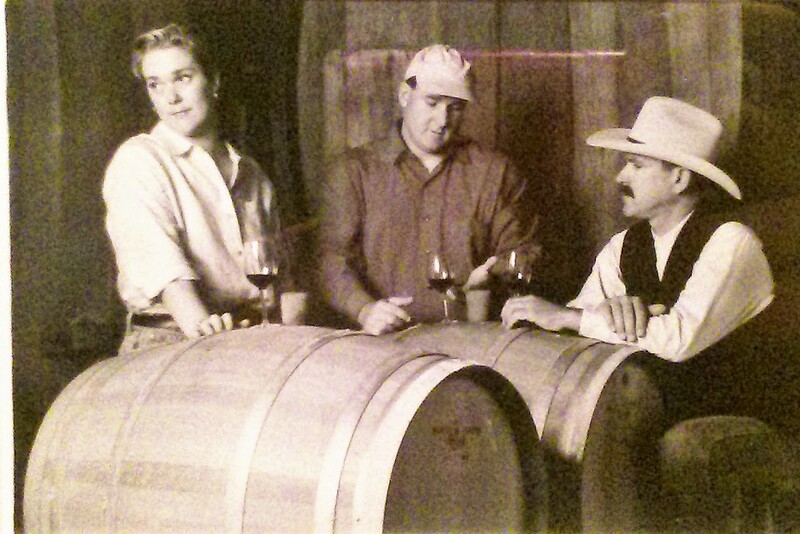 When wine was made and the word spread, the Pelliers struck gold again. The Pellier brothers are originally from the Bordeaux region of France, well-known for its Wine Industry. 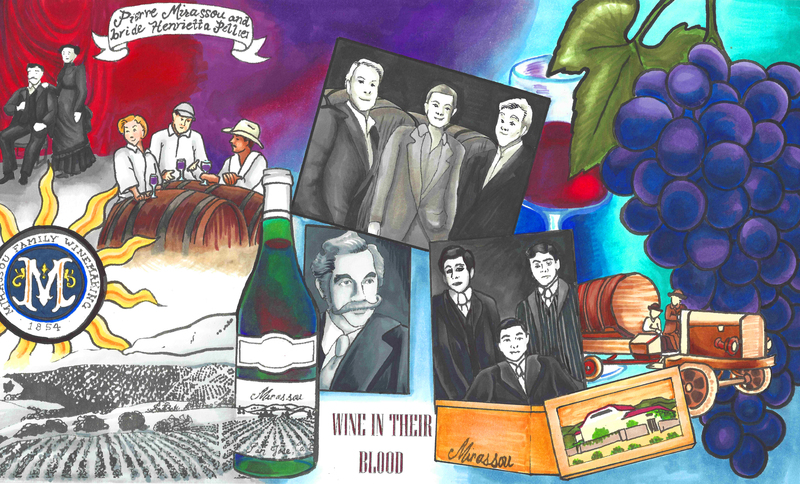 The Pellier boys would’ve grown up cultivating their parents’ vineyards and orchards in France. Cabernet Sauvignon, Cabernet Franc, Merlot, Petit Verdot and Malbec would’ve been easily found in that region of France. Folle Blanche, the ultimate brandy making grape, has been contributed to Luis Pellier. A Black Burgundy grape, another brandy grape, would also be brought to California by Pellier. A Mourvedre vine, similar to a Mission Grape but a French strain, has also been drawn back to Pellier. These would become popular in Zinfandel vineyards. Chasselas Fontainebleau, French Colombar and Madelaine are green grapes for white wines that have also been contributed to the Pellier brothers trips to France. 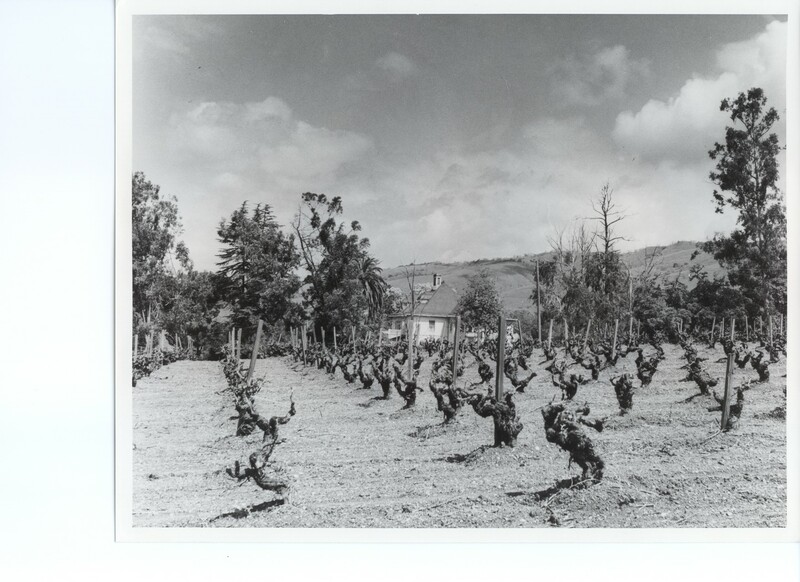 Even though the Pellier brothers would become famous for their perfect prune trees, descendants of the Pelliers would be boastful of its Pinot Noir grapes and wines. These certainly would’ve been brought back from France in the 1850’s by their forefathers. 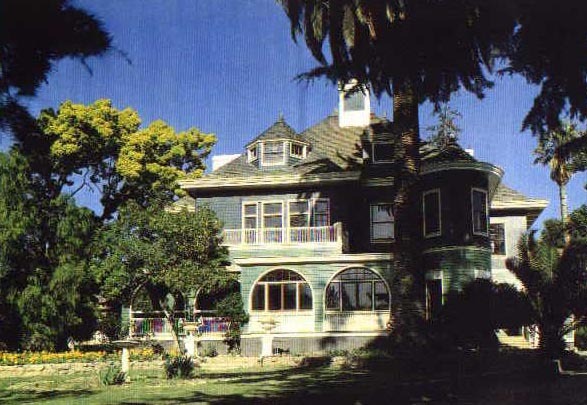 Pellier descendants, the Mirassou family, have called Evergreen home for over 150 years. Mirassou Winery operated off of Aborn Road for 100 years and continues to be a landmark in Evergreen. 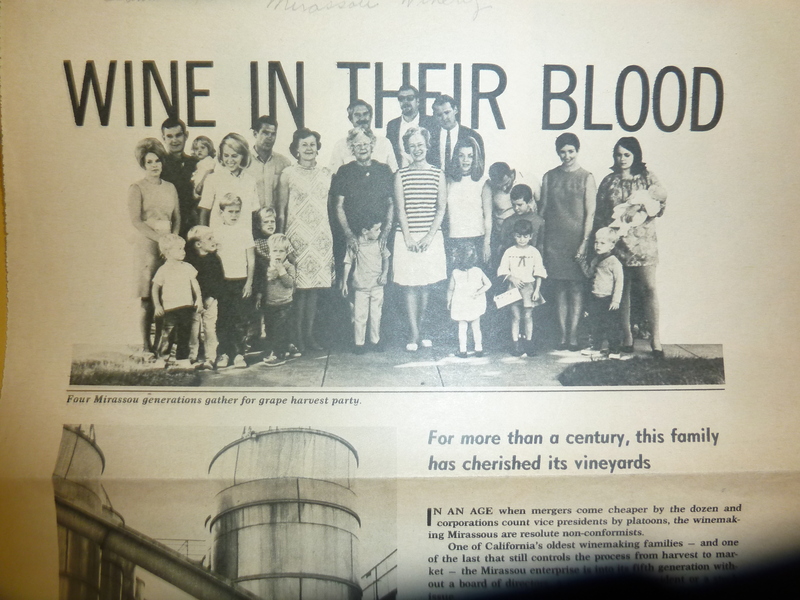 Today, the Mirassou Winemaking Family continues to be the oldest Wine Family in California and continue to call Evergreen home. Before this point, varieties of wine could only be found in Europe, mainly in France and Spain, and imported into the United States. California wasn’t well settled, but that would change fairly rapidly. Again, Missions harvested Mission Grapes for altar wines and brandy, but there wasn’t much more out there. What was out there was going away with the Missions closing. With the Gold Rush and Manifest Destiny in full affect, the Pelliers would be at the right place at the right time to make something amazing happen. California is the second capitol of wine today. It would difficult to envision Napa Valley today without its vineyards. 80% of these vines can be traced back to that Alviso Port. 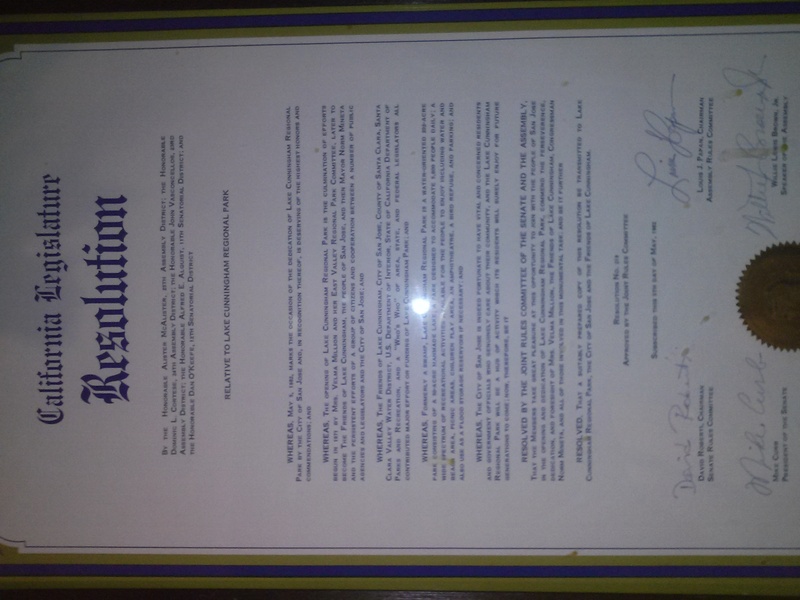 California’s Fruit Industry was initiated by Pellier’s cions. 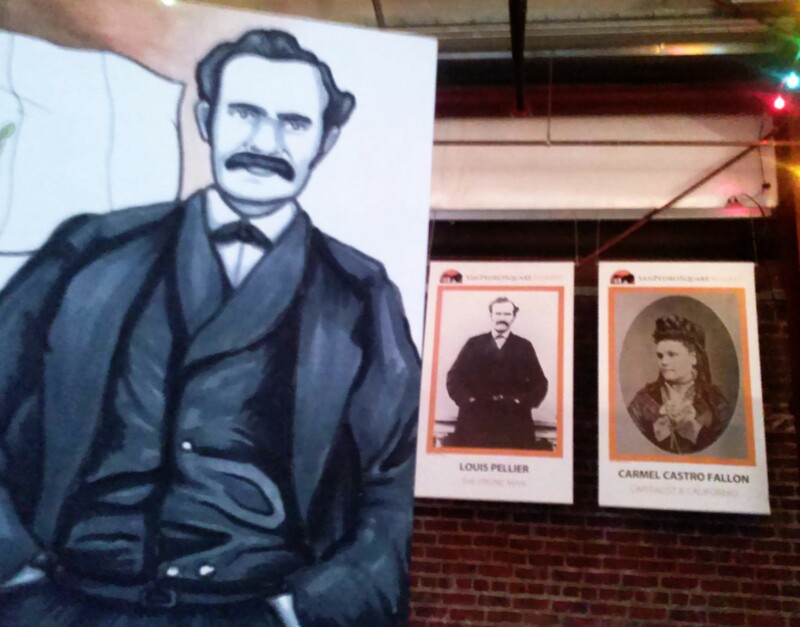 Luis Pellier is acknowledged as one of the founding fathers of San Jose. 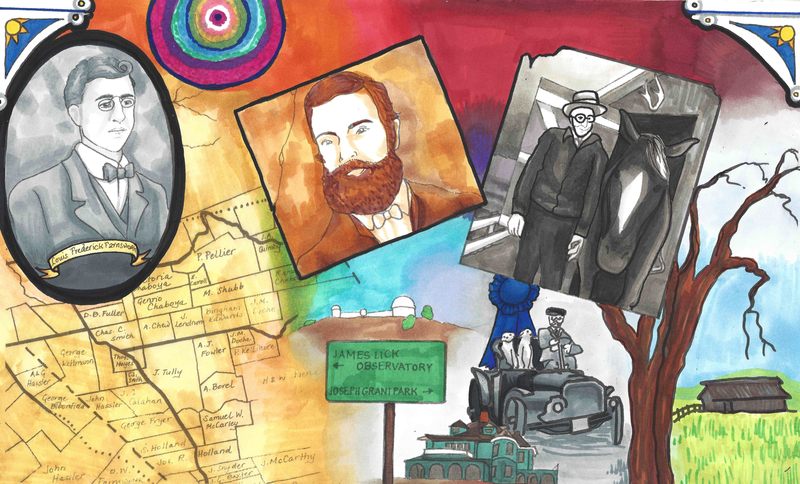 Here’s the artwork specific to the Pellier Family past and its present. Our fair Evergreen certainly has seen so many changes since Europeans first came. 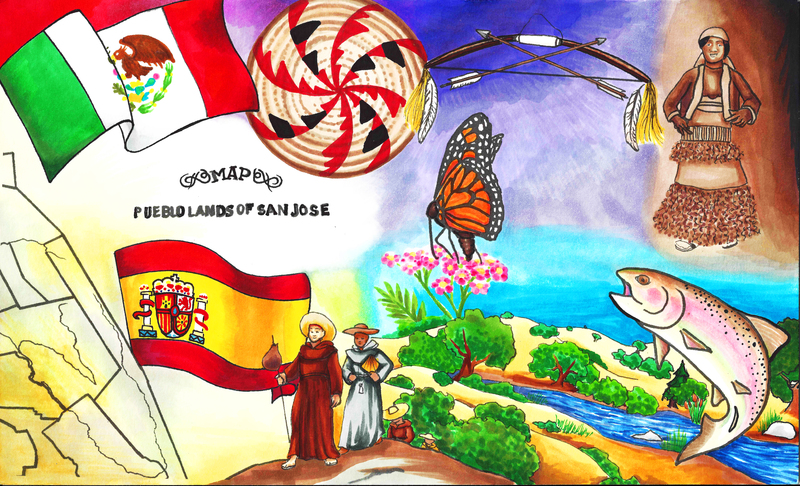 Our City, or Pueblo, of San Jose was founded the year after the Revolutionary War, 1777. Pueblo de San Jose was the first city in “New Spain” and the first non-religious settlement. Back then, it was Spanish Territory. In 1822, Mexico would win their independence and Alta California would become Mexican Territory. 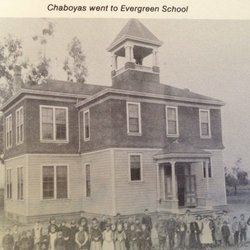 Evergreen was Rancho Yerba Buena through the Mexican Period. 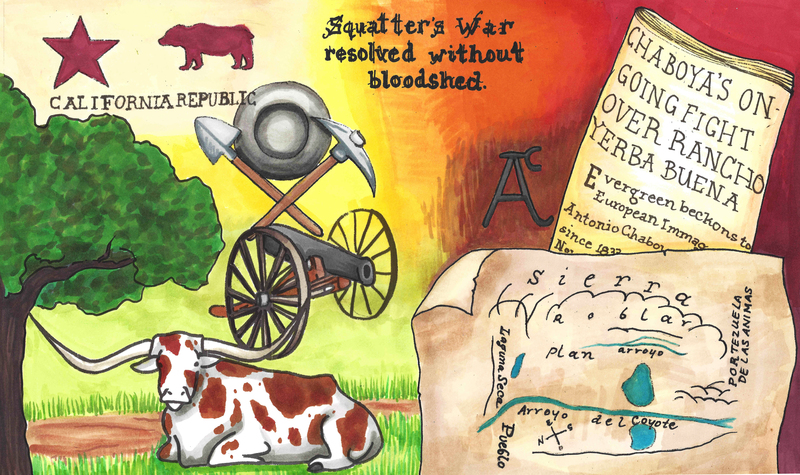 In 1848, the Bear Republic would revolt, and Statehood was inevitable in 1850 after Gold was found. Evergreen would be flooded with European newcomers, looking for the American Dream. All that having been said, and having been written down, Evergreen was around before the written record. California was estimated to have had 13,000-15,000 natives before Spanish colonization. Modern Day Evergreen would be home to Native American several tribes. Hundreds of campsites would be evident in Silver Creek Valley Country Club alone before its construction in the early 1990’s. Artifacts would be found over by the Villages and what would’ve been the Blauer Ranch in the 1960’s. Arrowheads and mortars would be found all over Evergreen. I have been told to be delicate in how I label the Evergreen Native people. For sure, Ohlone is an appropriate title, but that’s most Natives in Santa Clara Valley. The larger umbrella is Costanoan, all over the South Bay Area to Monterey. As this narrows, the labels become less sure without first person confirmation. An anthropologist might lump them in with the larger Muwekma Ohlone group. Let’s peek under the smaller umbrella. Tamien or Tamyen were Muwekma and refers to the Native Americans near the Guadalupe River and the Pueblo of San Jose. They would’ve come to Mission de Santa Clara first. That’s not our indigenous Evergreen bunch. 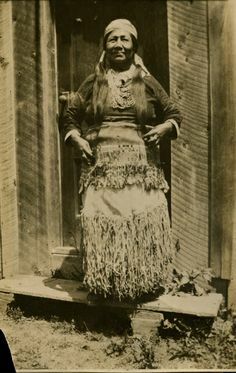 Pala or Palenos refers to the Native Americans in and around nearby Rancho Canada dela Pala and Rancho Pala, both being named after a famed Ohlone leader to the. The Werwersen tribe is nearer to Halls Valley and Mt. Hamilton to the Northeast. Native people along Coyote Creek, the western boundary of Rancho Yerba Buena, were called the Aulintac tribe. These are opposite corners of the 25000+ acres of Rancho Yerba Buena and present day Evergreen. Who was in the middle? Who was there at Silver Creek Valley Country Club from 350 years ago? These people had a name and I would hate to misquote. I will get the official tribe name from the people themselves. I want to find our Evergreen Natives, especially since we have so much evidence of them. From all accounts, our Evergreen indigenous people lived a hunter gatherer lifestyle and a nomadic one at that. Tribes wouldn’t stick around in one place for long and live off the abundant land. Berries, roots, seeds, acorns, and natural grains would take up a large part of their diets. 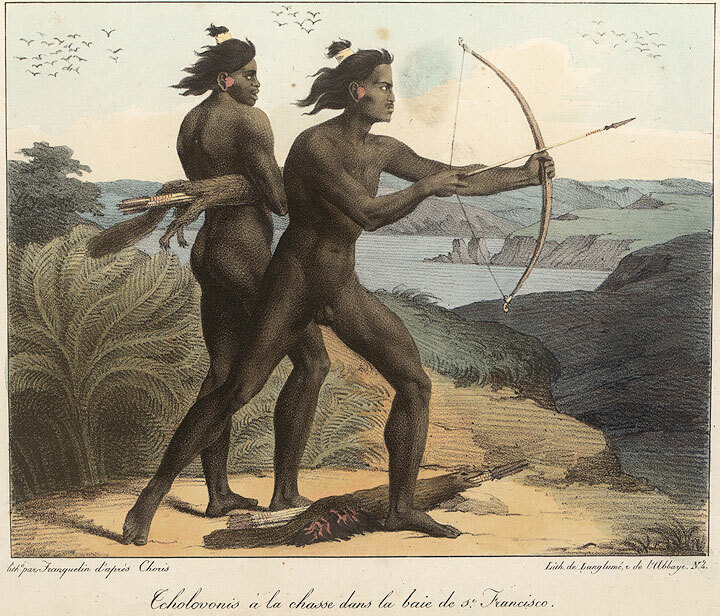 The Ohlone would hunt from a rich, diverse wildlife. 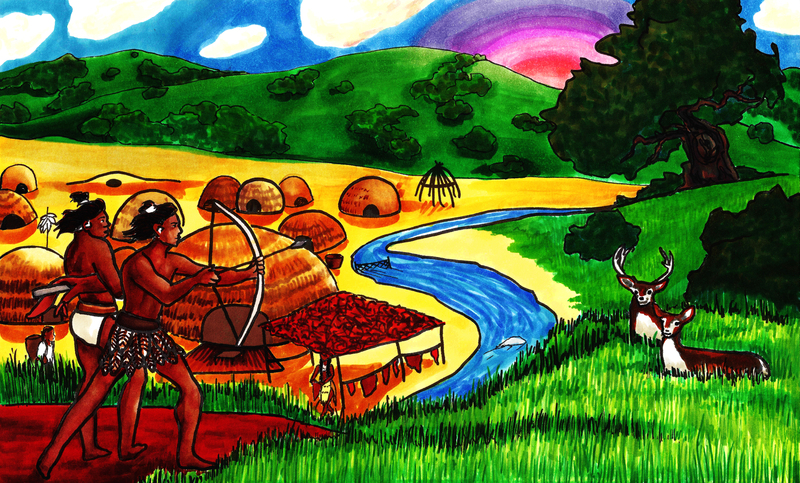 A nomadic way of life kept the environment healthy. Ritual dances would be a huge part of their Kuksu Religion. Dance would be incorporated into rain, fertility, hunting, harvest and other sorts of ceremonies. I think Evergreen is gorgeous today. Could you imagine how stunning it was back then? Alum Rock Park is a great resource to get in touch with our Ohlone Natives. Alum Rock Park also has springs similar to Evergreen, along with artifacts and guides to engage with. It’s a popular field trip destination. In the 19th century, where did they all go? The Spanish would enter California in the 1760’s. The DeAnza Expedition and Spanish colonization would eventually wipe out the indigenous people across Santa Clara Valley. The Pueblo de San Jose would be established by the Spanish in 1777 and the Mission de Santa Clara de Asis would open right alongside it. Mission de San Jose opened in June 11, 1797 by Father Fermiin Francisco de Lasuén. 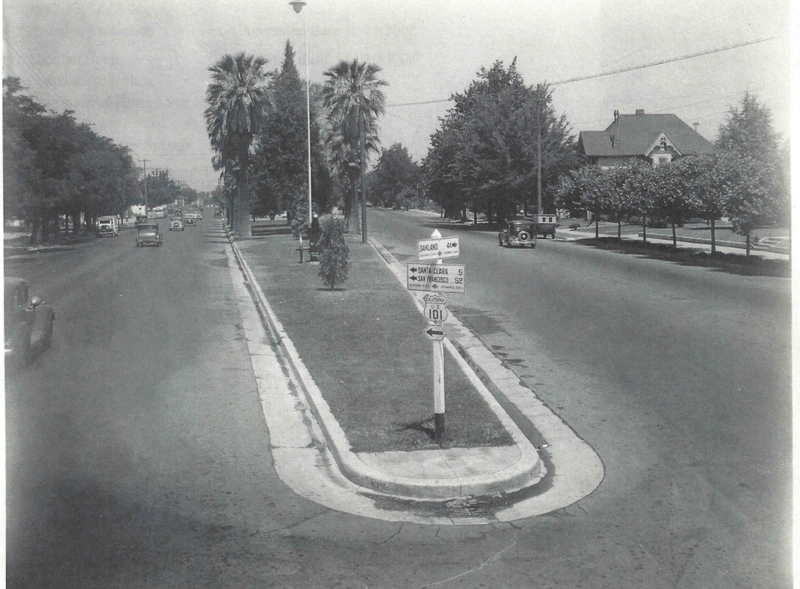 It’s located in present day Fremont, on Fremont Boulevard. The Native Americans baptized at Mission de Santa Clara de Asis, near present day Downtown San Jose, would go back home to their land miles away until Mission de San Jose opened nearby. Early days of Mission de Santa Clara and the adjoining Pueblo would see Winter flooding of Guadalupe River, so you couldn’t blame anyone for not wanting to stick around. 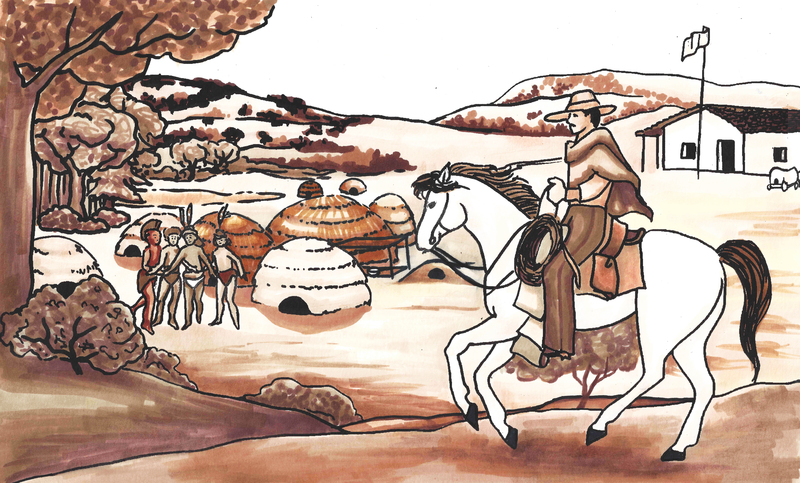 The Franciscan Missions along the El Camino Real would be hubs of agriculture at the time. Naval Bases at both San Francisco and Monterey would rely on the Santa Clara Valley to feed themselves. Olive orchards, mission grapes and livestock would be handled by a workforce made up of the Native American converts. After ten years of service, a worker would own a plot of land with a couple of location restrictions. 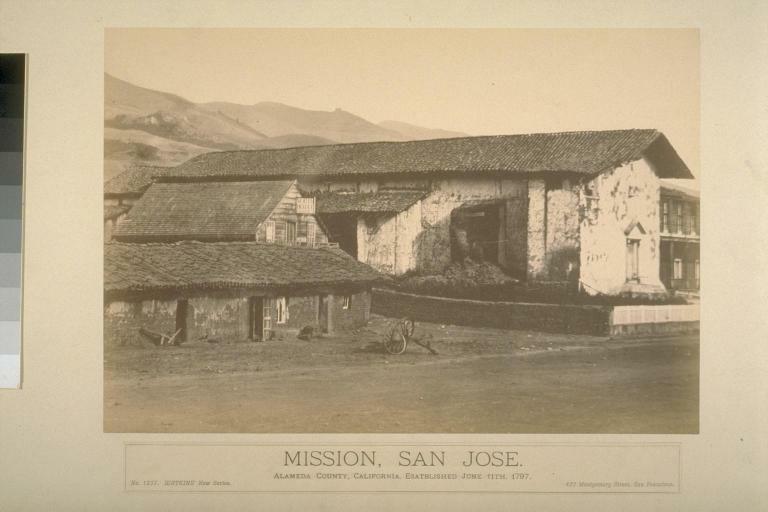 The Mission of San Jose would open up its doors to 33 people in 1797. Small pox and disease introduced by the Spanish would decimate populations at the Mission around 1805. An earthquake brought down the bell tower in 1808. Nonetheless, the population of Native Americans at the Mission de San Jose would grow steadily through the 1810’s-1820’s. A permanent church was constructed in 1809, only to be struck by an earthquake in 1868. A reconstruction stands there today on Fremont Boulevard. The indigenous people from the San Joaquin Valley at Mission San Jose would revolt in 1928-29. 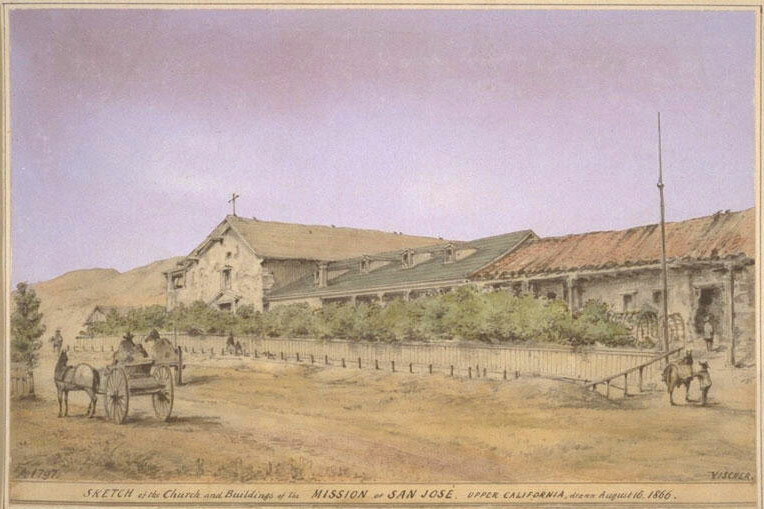 Even still, in 1831, the Mission housed over 1800 Native Americans from across the Bay Area and Central Valley. After a decade of civil war, Mexican Independence from Spain would be realized in 1822. The Territory of New Spain, or present day Mexico and California, would rule itself with the Roman Catholic Church’s protection. 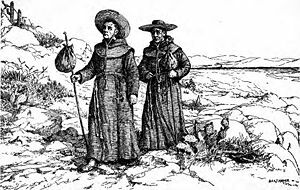 A few years later in 1834, the Franciscan Missions would be secularized by the Mexican Government and the Native Peoples would leave the Missions. 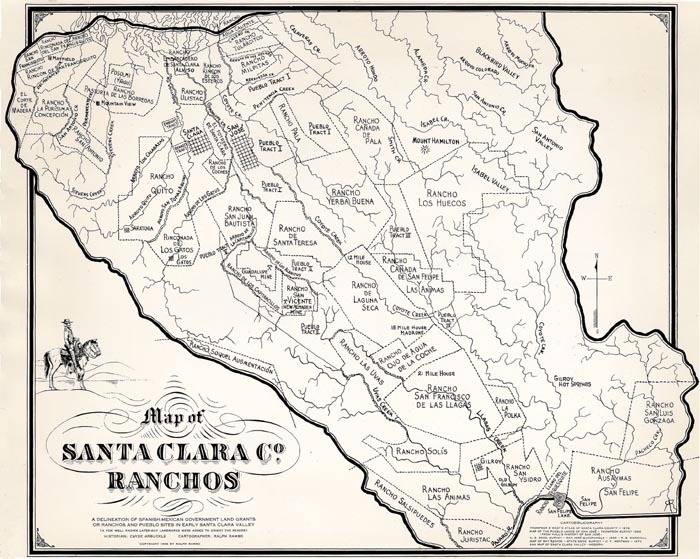 By the 1840’s, the Native peoples were clumped together in Communities around the Silicon Valley, finding work on ranches where they could. It must’ve been hard to be an indigenous person letting go of your way of life then be turned out of your new home at Mission. Native Americans would return to their land which was granted to Mexican ranchers, like Antonio Chaboya, in the meantime, therefore have no place to return to. They would’ve been understandably upset. This is where we again encounter our Native Evergreen people. 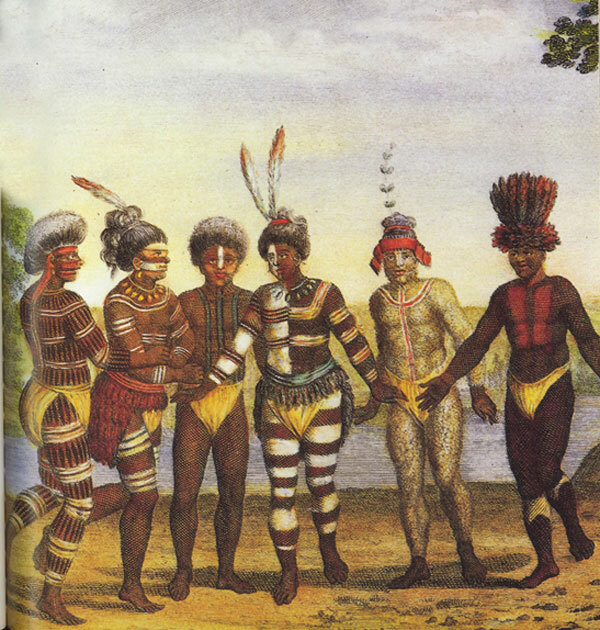 The Chaboyas would also defended their lands from returning indigenous peoples. The Evening News in 1916 would record an event before it faded in time and memory. Don Pedro Chaboya, brother of Evergreen’s Antonio and alcade or mayor of Pueblo de San Jose, held off a Native revolt in the 1840’s with a band of ranchers and defending the Mexican Rancheros. The returning indigenous people, 300 members strong, would steal over 600 horses and squat on various ranchos. 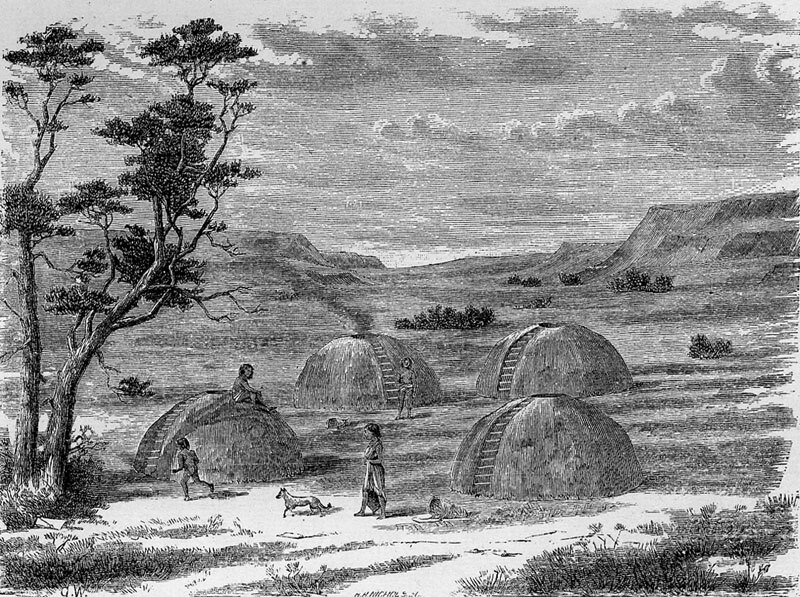 The Ohlone Natives were nomadic originally. The indigenous peoples would lived off the land, leaving little trace. They had the carbon footprint we all want. The Ranchers probably wouldn’t have fought at all unless the theft of horses and cattle happened. In Antonio Chaboya’s Rancho Yerba Buena, who couldn’t possibly oversee every acre at all time, they were difficult to locate. Rancho Yerba Buena found homesteaders setting up shop after years on Rancho Yerba Buena. 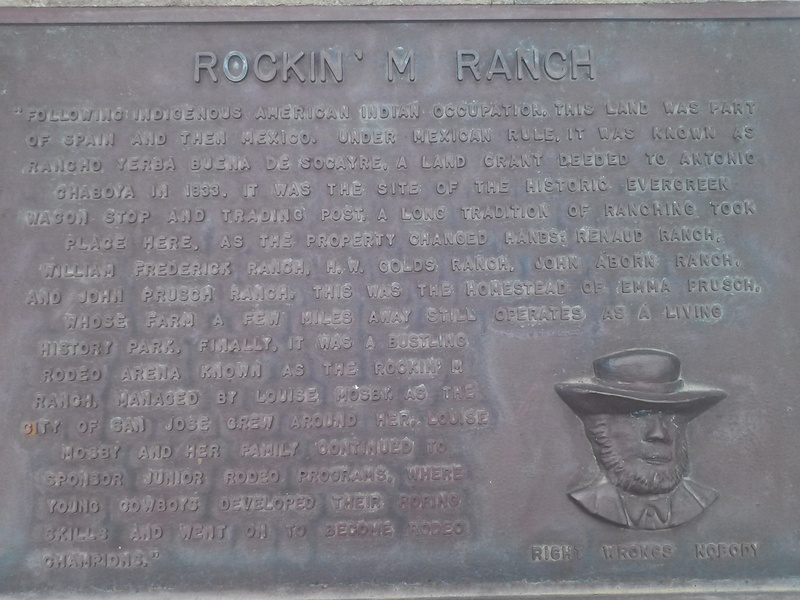 Ranch hands and Ranchers alike, Californios, would come together to defend their way of life. Several of Pedro’s brothers, Jose Berryessa, Sebastian Peralta, Augustine and Jose Bernal, Balentin Higuerra and Augustine Narvaez were just a couple notably ranchers in Pedro’s militia. The Mexican Band of Ranchers would run the Natives off as far as Pacheco Pass, lead by Pedro Chaboya. 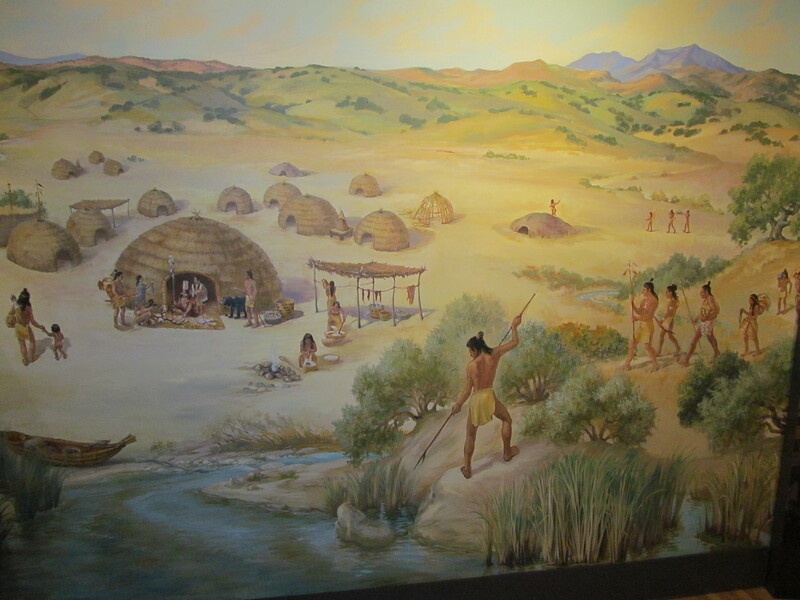 The Californios would overpower the Ohlones while they took refuge at Lake Tachi. The Franciscan Missions would become Catholic Churches again in 1868 but the Ohlone Natives would not return in full force. By 1935, the Evergreen Native people were almost extinct. Of course they married into other families and assimilated to their new surroundings. Tracking them down has been really hard, but I have some leads to follow with the Missions themselves. The Ohlone peoples of Santa Clara County and beyond still haven’t been recognized by the Federal Government due to lack of knowledge about them. Their peaceful way of life should be praised, as everyone else who came to Evergreen enjoyed the bounty of the land too. Again, I like to wonder what the Evergreen area looked like before the Spanish colonialists came. 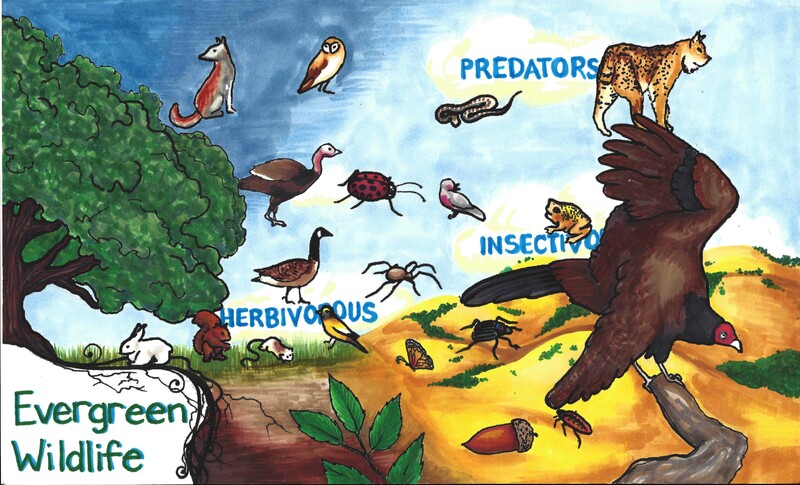 Here’s the artwork that features our indigenous Evergreen populations.